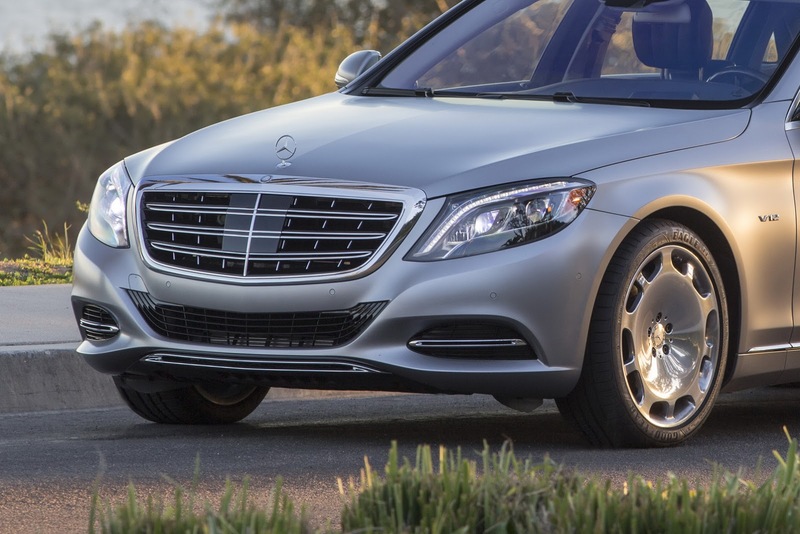 Η Daimler διοργάνωσε σήμερα την ετήσια συνέντευξη τύπου στην οποία ο πρόεδρος και CEO της, Dieter Zetsche, παρουσίασε τα οικονομικά αποτελέσματα του Group του για το 2014. Τα κέρδη ανήλθαν σε 7,3 δις ευρώ, λιγότερα από τα 8,7 δισ. του 2013, με το μέρισμα της μετοχής της να ανήλθε στα 2,45 ευρώ, ενώ τα έσοδα άγγιξαν τα 129,9 δις ευρώ (118 δις το 2012). 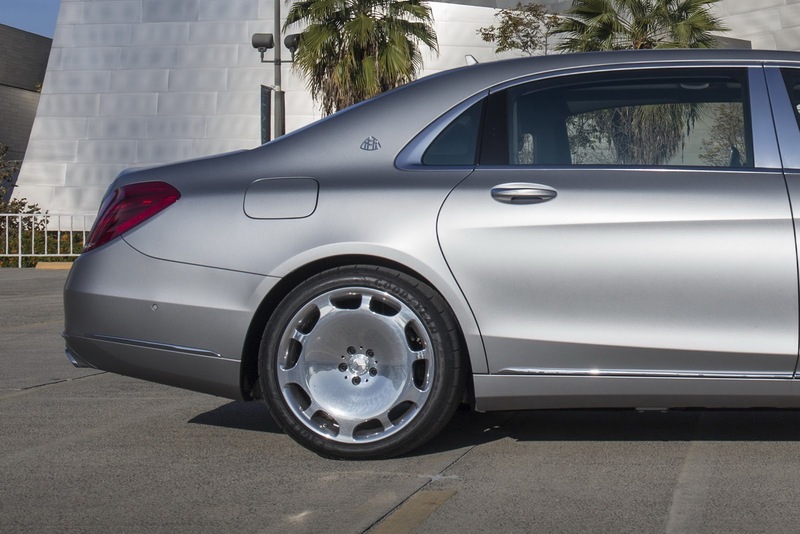 Όλες οι εταιρίες της Daimler πούλησαν συνολικά 2,5 εκατ, αυτοκίνητα, ενώ έχει καθαρή ταμειακή ρευστότητα 17 δισ. ευρώ (13,8 δισ. το 2013), έχοντας ελεύθερες ταμειακές ροές 5,5 δισ. ευρώ (4,8 δισ. το 2014). Απασχολεί 279.972 ανθρώπους παγκοσμίως (+2%), με τα 168.909 άτομα από αυτούς να βρίσκονται στη Γερμανία. 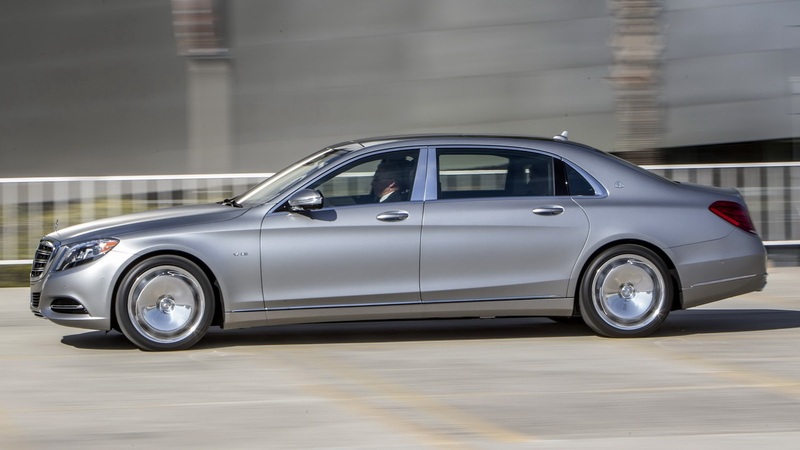 Stuttgart, Germany – Daimler AG (ticker symbol DAI) continued its successful development in 2014 and once again set new records for unit sales, revenue and EBIT from the ongoing business. Due to very attractive and highly competitive product portfolios in all its automotive divisions and the expected market development, the company assumes that it will significantly increase its unit sales, revenue and EBIT from the ongoing business once again in 2015. EBIT for 2014 of €10.8 billion is at the level of the previous year, which was positively affected by the sale of the shares in EADS. 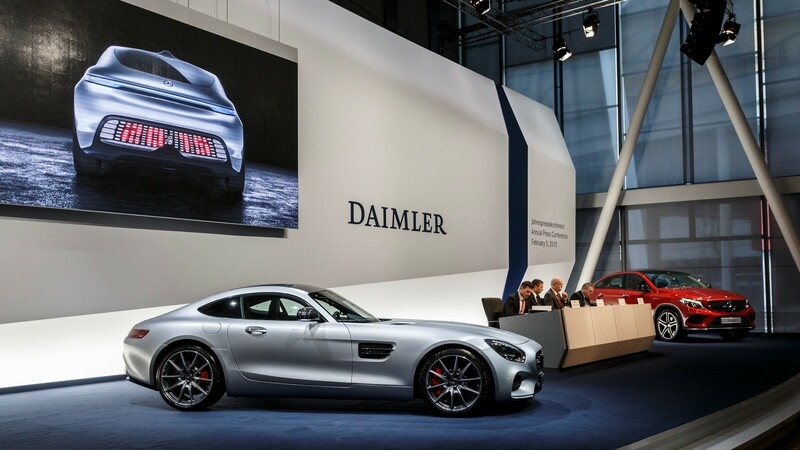 EBIT from the ongoing business increased by 27% to €10.1 billion, which is the highest ever achieved by Daimler AG (2013: €8.0 billion). Net profit of €7.3 billion is lower than the prior-year amount of €8.7 billion, which was also positively influenced by the sales of EADS shares. 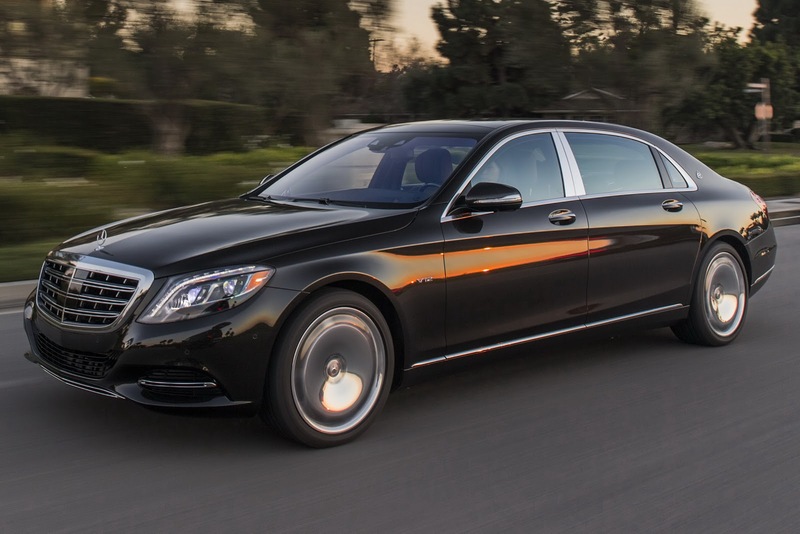 As previously announced, Daimler significantly increased its unit sales in 2014. 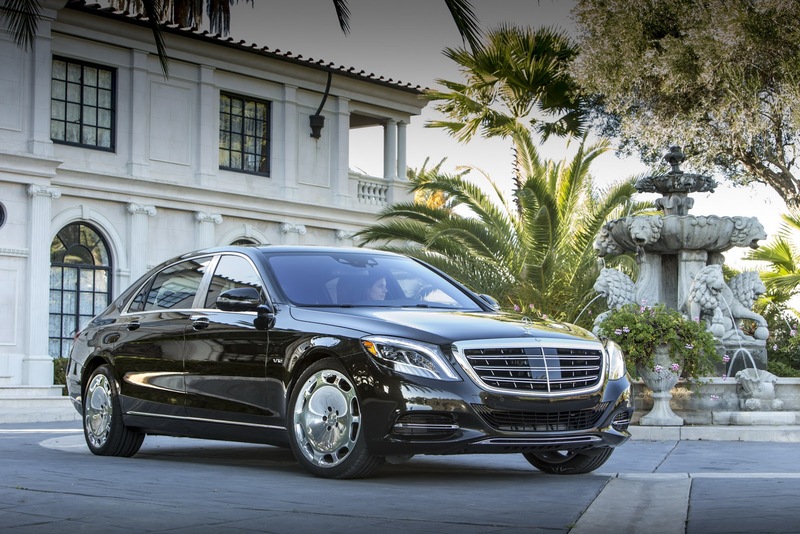 With more than 2.5 million vehicles sold unit sales were 8% higher than in 2013. 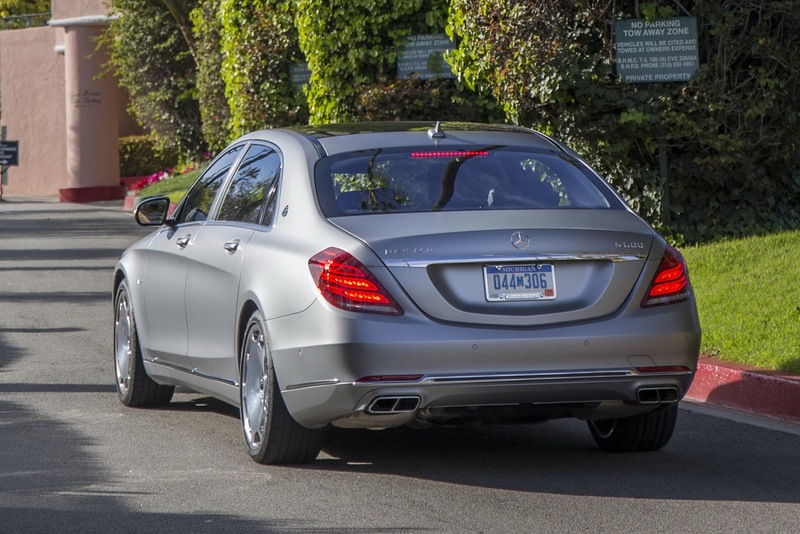 The increase was primarily driven by Mercedes-Benz Cars (+10%) and Mercedes-Benz Vans (+9%). The 2% increase in unit sales at Daimler Trucks was lower than originally expected, mainly due to the weak state of markets in Western Europe and Latin America. Daimler Buses’ unit sales were slightly below the prior-year level. On the basis of the growth in unit sales, Group revenue increased by 10% to €129.9 billion; adjusted for exchange-rate effects, revenue grew by 12%. “We are proud of our development in the past financial year. As the year progressed, we continuously improved our performance and surpassed the prior-year quarters. 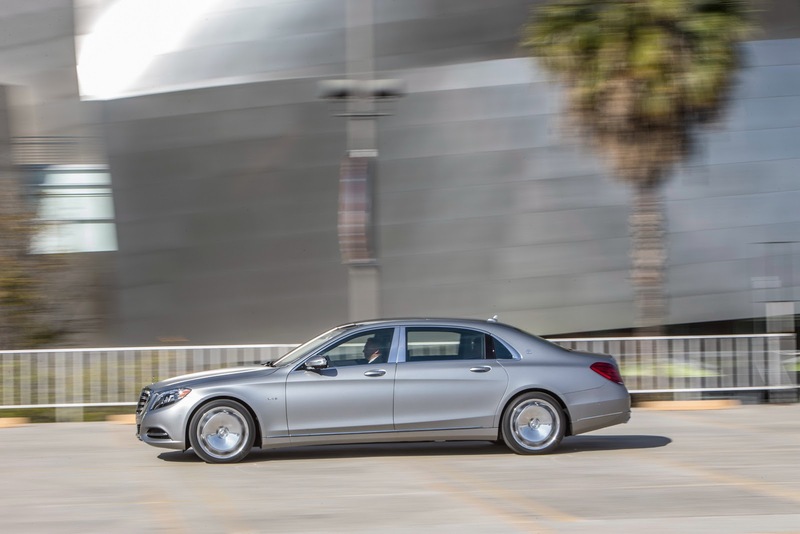 We are growing profitably, our strategy is paying off,” said Bodo Uebber, Member of the Board of Management of Daimler AG for Finance & Controlling and Daimler Financial Services. At the Annual Shareholders’ Meeting on April 1, 2015, the Board of Management and the Supervisory Board will propose an increase in the dividend to €2.45 per share (prior year: €2.25). 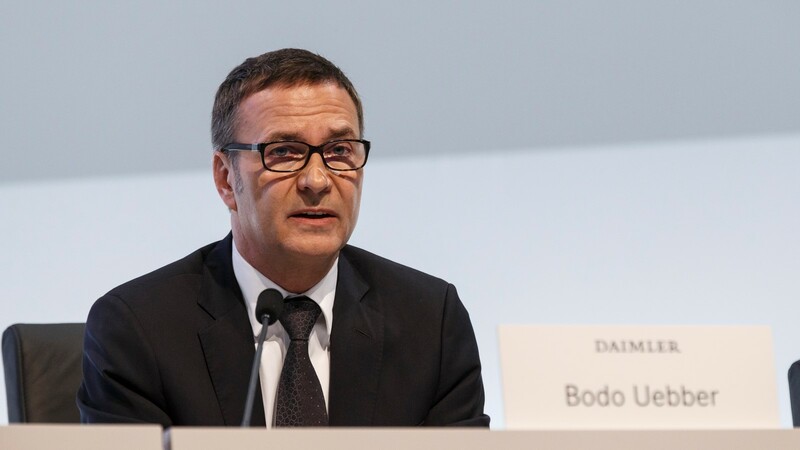 “With the once more increased dividend and thus the highest profit distribution by Daimler AG so far, we are letting our shareholders participate in the company’s success and at the same time expressing our confidence about the ongoing course of business,” emphasized Bodo Uebber. 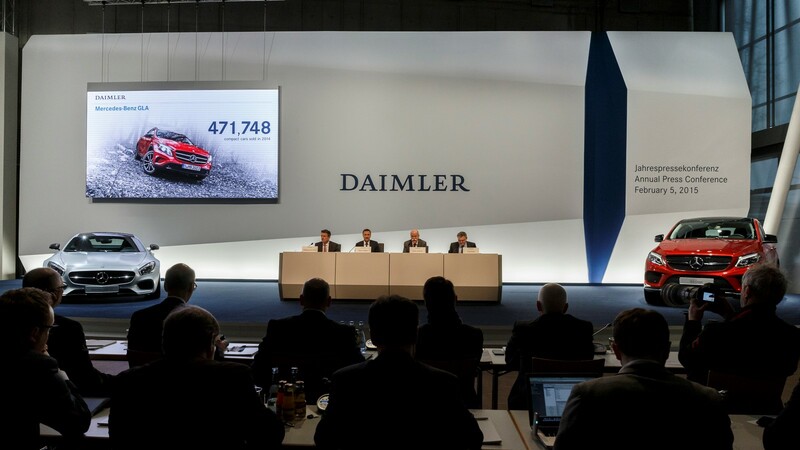 The dividend distribution will amount to €2,621 million (prior year: €2,407 million) and the distribution ratio will be 37.6% (prior year: 35.2%) of the net profit attributable to the Daimler shareholders. 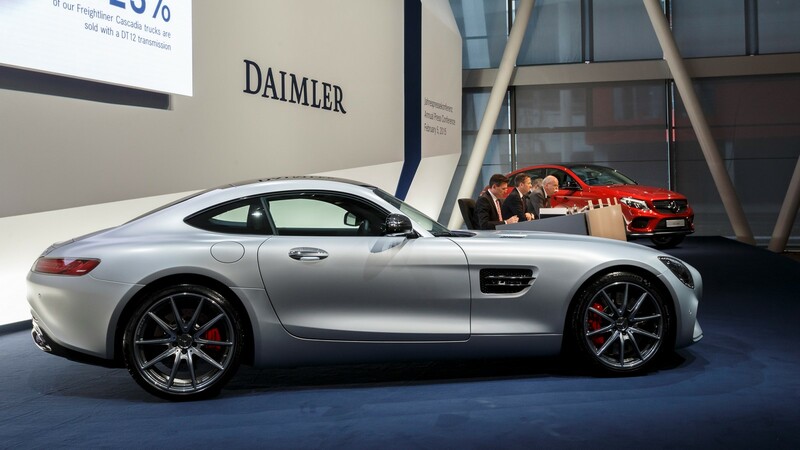 In the coming years, Daimler aims for a distribution ratio in the magnitude of 40%. The net liquidity of the industrial business increased from €13.8 billion at December 31, 2013 to €17.0 billion at December 31, 2014. The increase primarily reflects the positive free cash flow of the industrial business, which amounted to €5.5 billion in 2014 (2013: €4.8 billion). The sale of Daimler’s equity interests in Rolls-Royce Power Systems Holding GmbH (RRPSH) and Tesla Motors, Inc. (Tesla) had a positive impact of €3.0 billion. 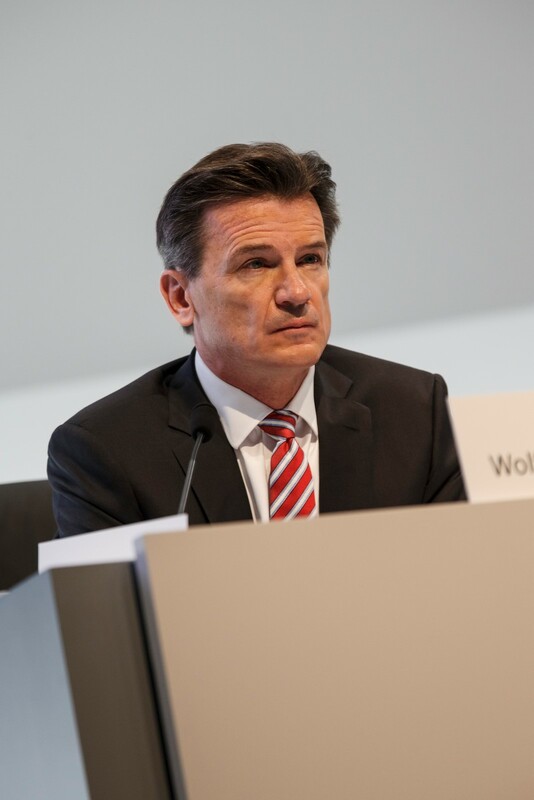 The free cash flow of the industrial business was reduced, however, by cash outflows for the extraordinary contribution to the German pension plan assets of €2.5 billion and for the settlement of a healthcare plan in the United States. Adjusted for these special items, the free cash flow of the industrial business decreased to €5.2 billion (2013: €3.2 billion). In 2014, the Group covered its refinancing requirements mainly through the issuance of bonds. A large proportion of those bonds were placed in the US dollar and euro markets in the form of so-called benchmark emissions (bonds with high nominal volumes). As the first international corporation, Daimler also placed bonds in the capital market of the People’s Republic of China, so-called panda bonds. 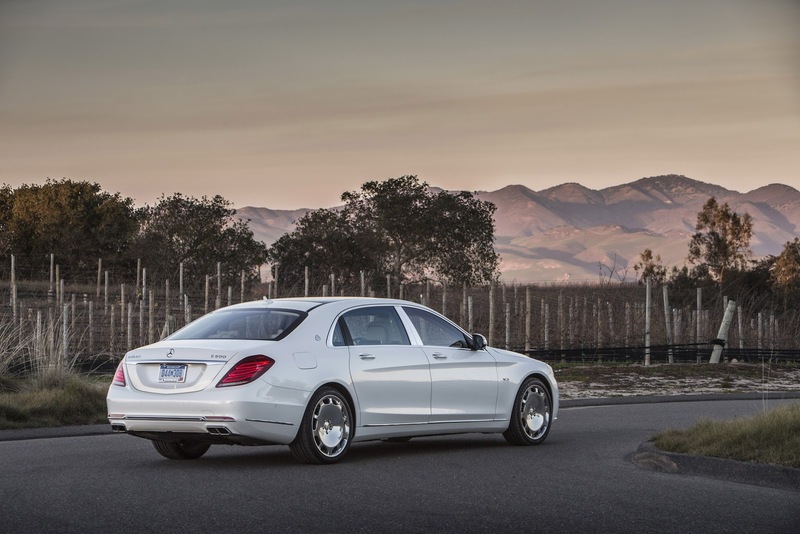 Refinancing was facilitated by high capital-market liquidity as well as by Daimler’s good credit ratings. 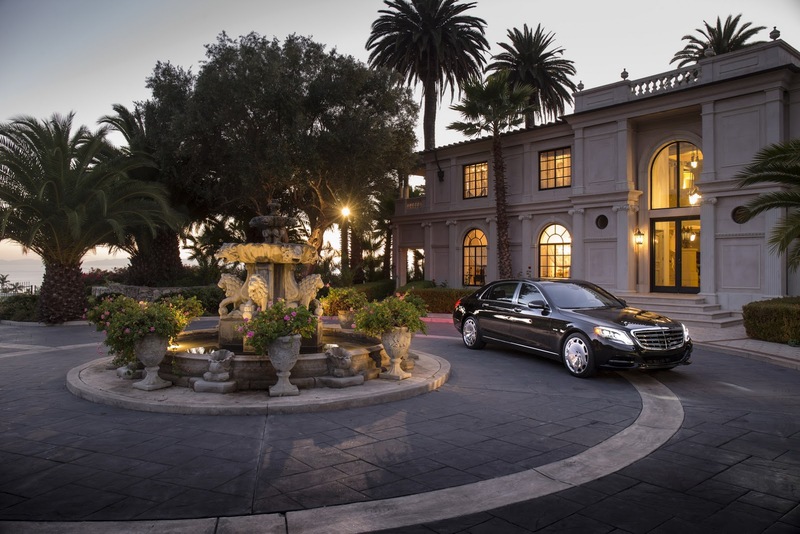 In order to secure sufficient financial flexibility, Daimler also has a €9 billion syndicated credit facility, which provides the Group with financial room for maneuver until the year 2020. Due to strong demand for the Group’s automotive products and services, the number of employees increased by 2% compared with the end of 2013. 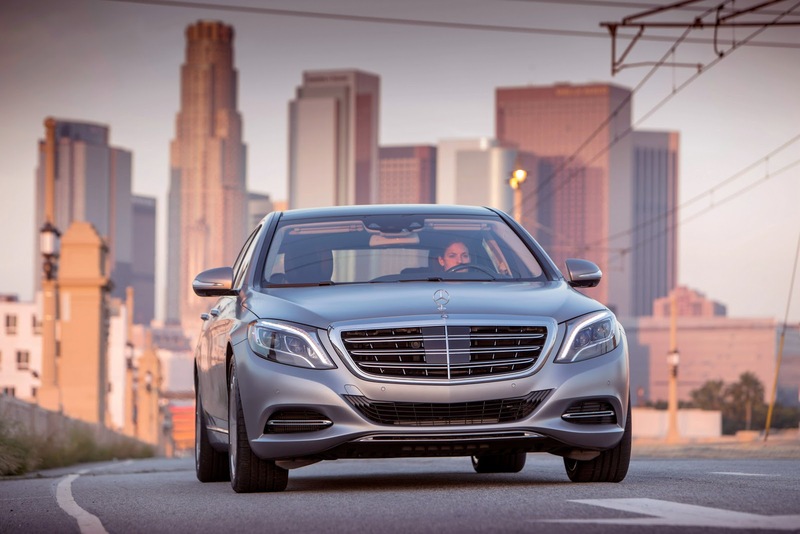 As of December 31, 2014, the Daimler Group employed 279,972 people worldwide (2013: 274,616). 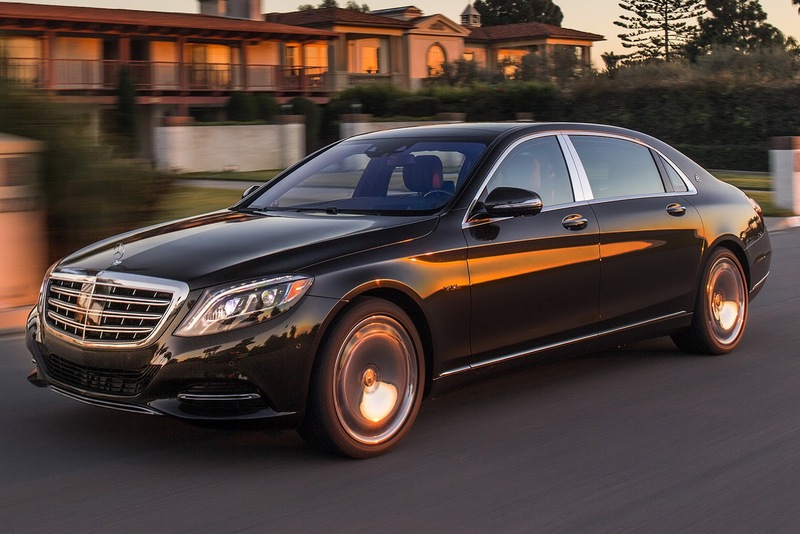 In Germany, Daimler employed 168,909 as of December 31, 2014 (2013: 167,447). With a number of around 6,600 apprentices, Daimler provides more than one third of the apprenticeships of all the German vehicle manufacturers. 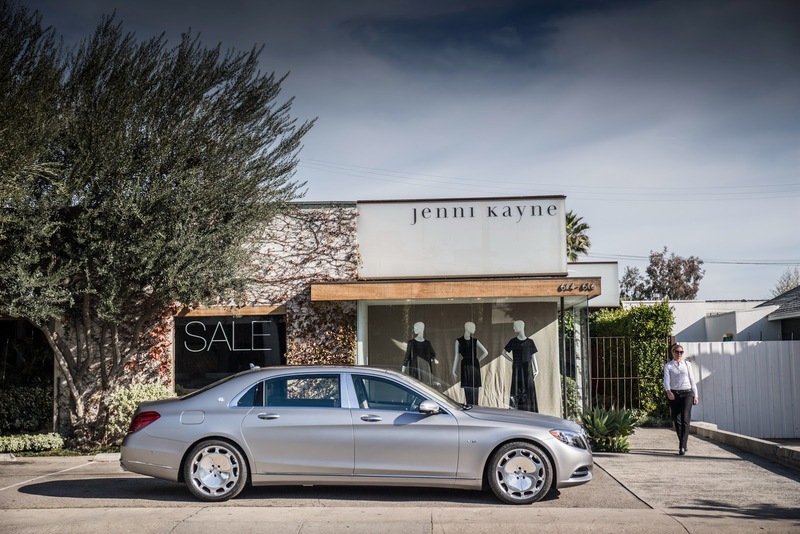 Daimler’s instruments for supporting the targeted promotion of women include flexible working-time models, childcare facilities close to the workplace and special mentoring programs. The Group has committed itself to increasing the proportion of women in senior management positions to 20% by 2020. The proportion of women in such positions has continually risen in recent years to reach 14.1% at the end of 2014 (2013: 12.7%). This means that the goal of increasing the ratio each year by one percentage point was once again fulfilled. 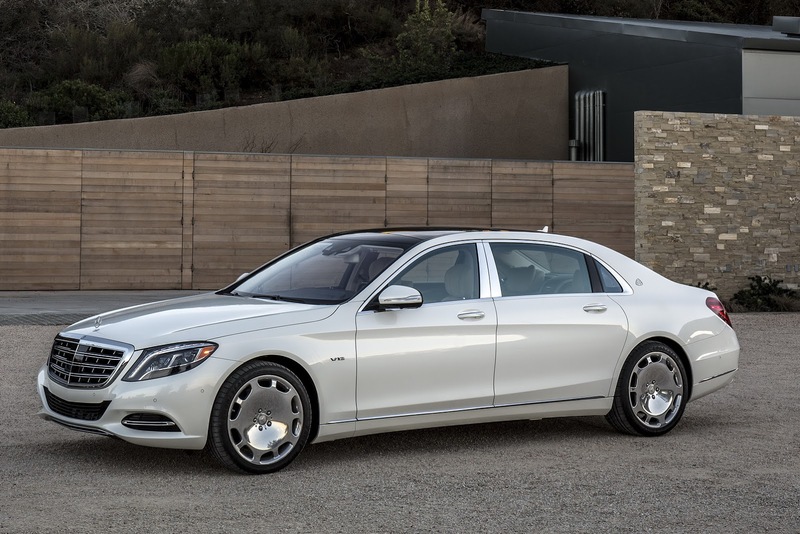 Mercedes-Benz Cars, with the brand Mercedes-Benz and the sub-brands Mercedes-AMG and Mercedes-Maybach, as well as the smart brand, accelerated along its growth path once again last year. Unit sales increased by 10% to the record number of 1,722,600 vehicles, while revenue rose at the even higher rate of 14% to the record level of €73.6 billion. The division’s EBIT of €5,853 million was significantly higher than the prior-year earnings of €4,006 million and thus grew at a higher rate than revenue. Return on sales increased significantly to 8.0% (2013: 6.2%). The development of earnings primarily reflects the ongoing growth in unit sales, especially in Asia, Europe and the United States. 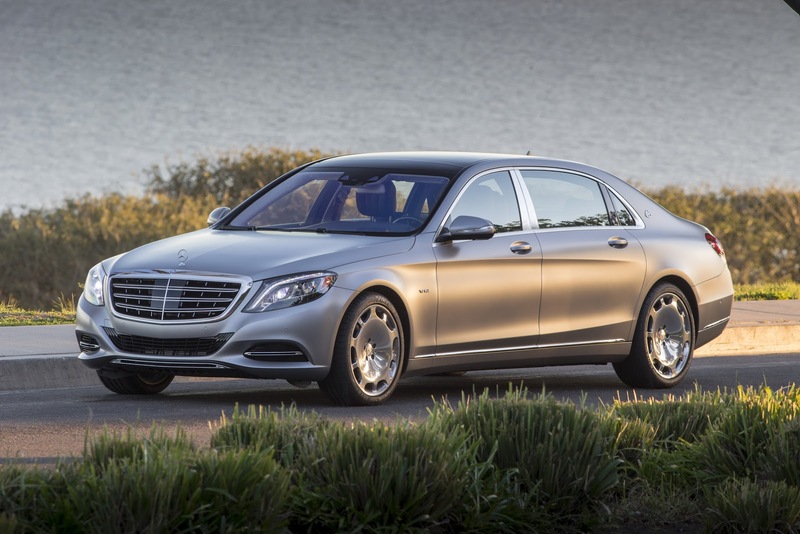 This was due in particular to the new S-Class in its first full year, the new C-Class models and the expanded range of compact cars. 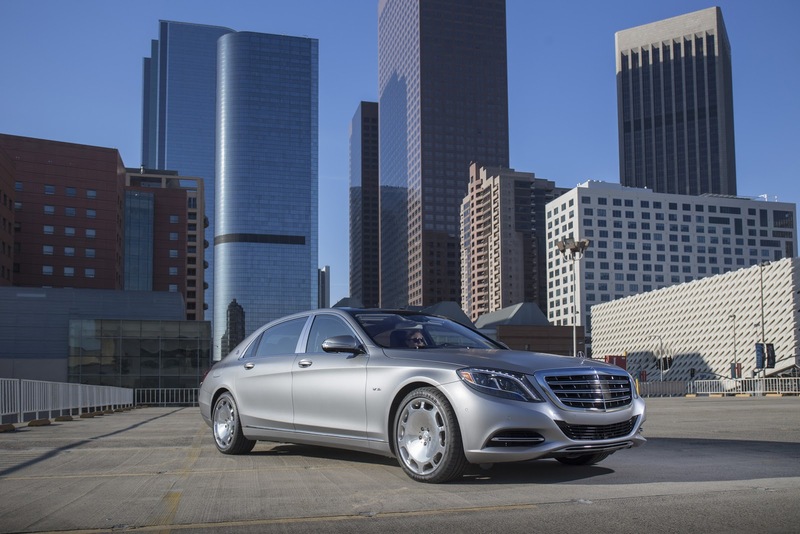 Mercedes-Benz Cars also improved its earnings as a result of better pricing and the efficiency actions of the »Fit for Leadership« program. Adverse effects resulted from expenses for the enhancement of products’ attractiveness, capacity expansions and advance expenditure for new technologies and vehicles. In addition, currency translation had a negative impact. EBIT also includes impairments of €30 million recognized on investments in the area of alternative drive systems. Daimler Trucks was able to slightly increase its unit sales by 2% to 495,700 units in 2014, reaching the highest level since 2006. Along with the higher unit sales, revenue rose to €32.4 billion (2013: €31.5 billion). The division achieved EBIT of €1,878 million (2013: €1,637 million); earnings thus improved significantly compared with the previous year and grew at a higher rate than revenue. Return on sales rose significantly to 5.8% (2013: 5.2%). Significantly higher unit sales in the NAFTA region and Japan made a major contribution to the earnings improvement in 2014. Lower warranty costs and the successful efficiency and growth program »Daimler Trucks #1« also had positive effects. Unit sales and EBIT were adversely influenced in 2014 by the weak economic situation in Latin America and Europe, as well as by the after-effects of the introduction of Euro VI emission standards. Currency effects and expenses of €149 million for workforce adjustments in the context of optimization programs in Brazil and Germany also had a negative impact. EBIT also includes an expense of €30 million from the impairment of the carrying value of the investment in Kamaz. An additional factor is that there was no longer a contribution to earnings from RRPSH due to the exercise of the put option. 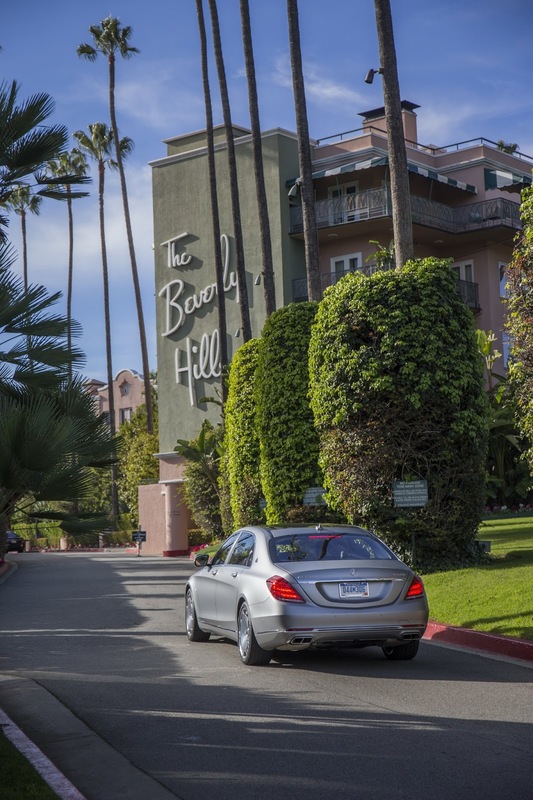 Mercedes-Benz Vans set a new sales record in 2014, with deliveries rising by 9% to 294,600 units. Revenue also reached a new record of €10.0 billion (2013: €9.4 billion). The division achieved EBIT of €682 million in 2014, significantly surpassing the prior-year level of €631 million. Return on sales increased to 6.8% from 6.7% in 2013. Operating profit reflects the very positive development of unit sales, especially in Europe and the NAFTA region. Earnings were negatively impacted, however, by research and development expenditure for new products and by expenses for the market launch of the new V-Class multipurpose vehicle and the new van Vito; currency effects had an additional negative impact on earnings. EBIT increased by €61 million following the reversal of an impairment previously recognized on an investment in the joint venture Fujian Benz Automotive Corporation. Daimler Buses sold 33,200 buses and bus chassis worldwide in 2014, almost reaching its prior-year unit sales (2013: 33,700). At the same time, the division significantly strengthened its leadership in its core markets in the segment for buses with a gross vehicle weight of over 8 metric tons. Revenue of €4.2 billion was slightly higher than in 2013 (€4.1 billion). Daimler Buses significantly increased its EBIT to €197 million in the year under review (2013: €124 million). Return on sales rose significantly to 4.7% (2013: 3.0%). The earnings improvement resulted primarily from increased unit sales of complete buses and a positive product mix in Western Europe, as well as from further efficiency progress with »GLOBE 2013« and positive exchange-rate effects. There was an opposing, negative impact from lower unit sales of bus chassis in Latin America. Although the economic situation in Brazil and Argentina was difficult and, as had been expected, the Turkish market contracted, profitability improved significantly compared with the previous year. Expenses for repositioning the division’s business amounted to €12 million in 2014 (2013: €39 million). The restructuring of the Group’s own sales organization in Germany had an overall impact on all the automotive divisions of €116 million. 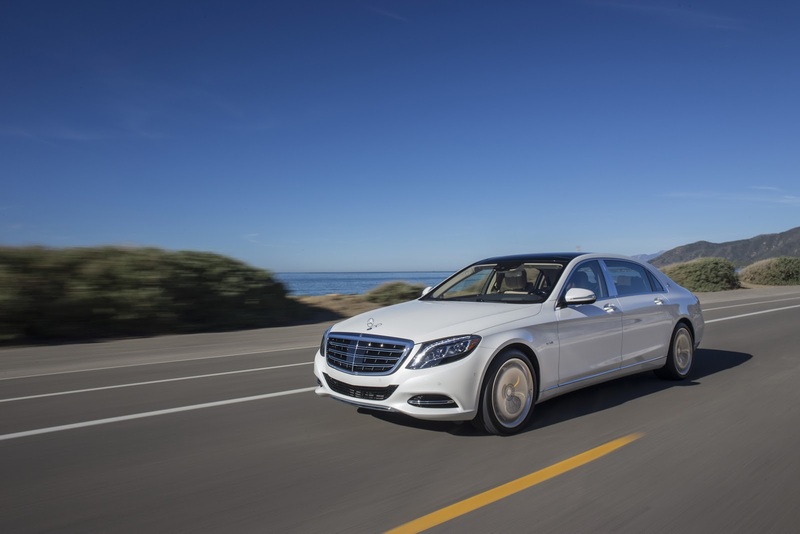 Daimler Financial Services concluded 1.3 million new financing and leasing contracts worth a total of €47.9 billion in the year under review. The total value of all new contracts therefore rose by 18%. 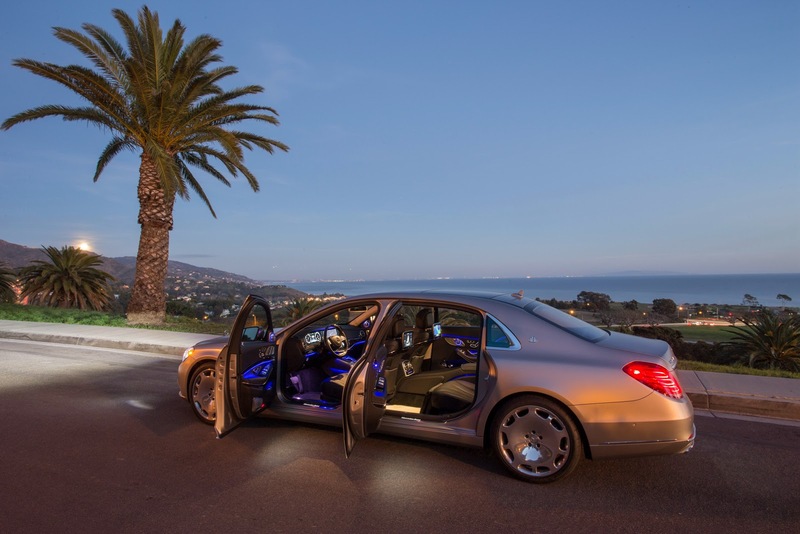 Over 3.3 million financed or leased vehicles were on the books at the end of 2014 – more than ever before. This corresponds to an 18% increase in contract volume to €99.0 billion. Adjusted for exchange-rate effects, the increase amounted to 12%. EBIT reached the record amount of €1,387 million (2013: €1,268 million). The division’s equity ratio was 19.4% (2013: 19.2%). This earnings improvement was primarily due to the increased contract volume and the ongoing positive development of risk costs, whereby currency effects and additional expenses in connection with business expansion were more than offset. The reconciliation of the divisions’ EBIT to Group EBIT comprises gains and/or losses at the corporate level and the effects on earnings of eliminating intra-group transactions between the divisions. Items at the corporate level resulted in income of €713 million (2013: €3,067 million), primarily related to the equity interests in RRPSH and Tesla. 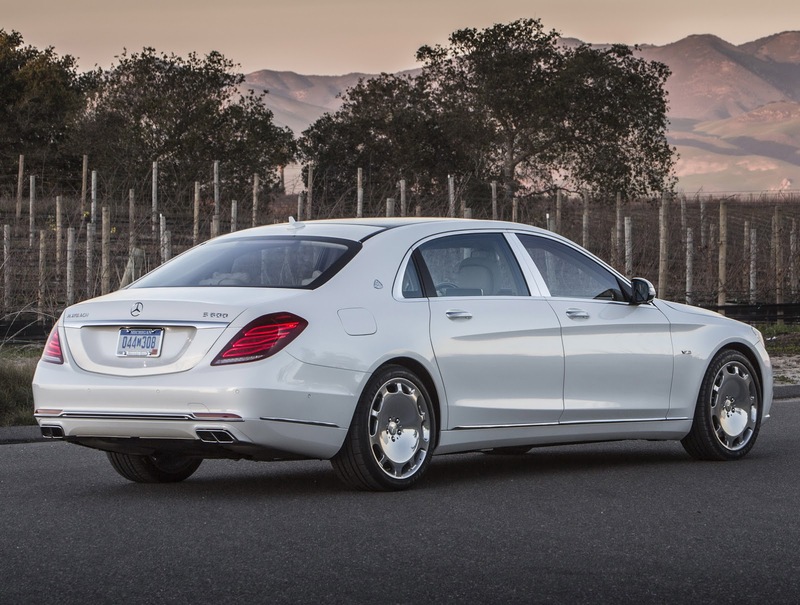 The sale of Daimler’s shares in RRPSH resulted in a gain of €1,006 million while the remeasurement of the put option resulted in an expense of €118 million. In connection with the investment in Tesla, the loss of significant influence on that company meant that the Tesla shares had to be remeasured, resulting in a gain of €718 million. The hedge of Tesla’s share price and the sale of those shares resulted in total expenses of €124 million. Items at the corporate level also include expenses of €600 million related to the ongoing antitrust proceedings of European manufacturers of commercial vehicles by the EU Commission started in 2011. 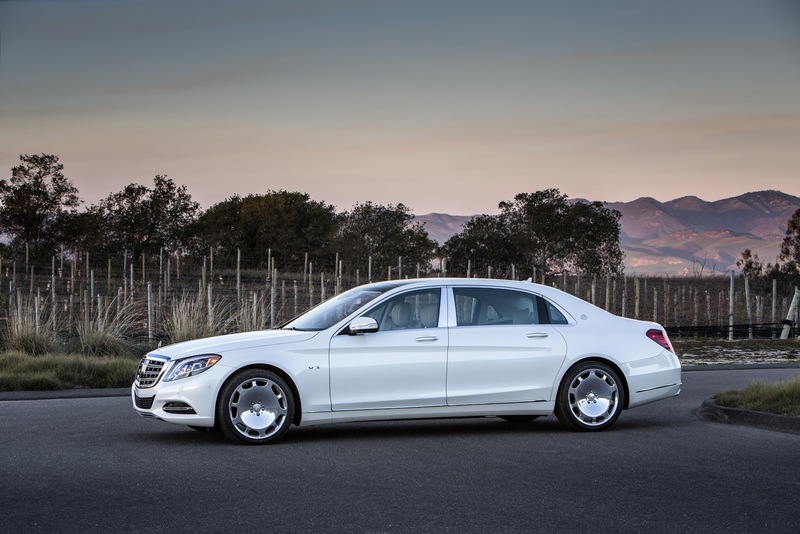 In 2013, earnings were impacted in particular by Daimler’s exit from the former EADS shareholder pact in April 2013. This resulted in a gain of €3.2 billion. In addition, until that date, items at the corporate level also included the proportionate earnings of the equity-method investment in EADS. The elimination of intra-group transactions resulted in income of €42 million in 2014 (2013: €82 million). The special items affecting earnings in the years 2014 and 2013 are listed in the table on page 13. 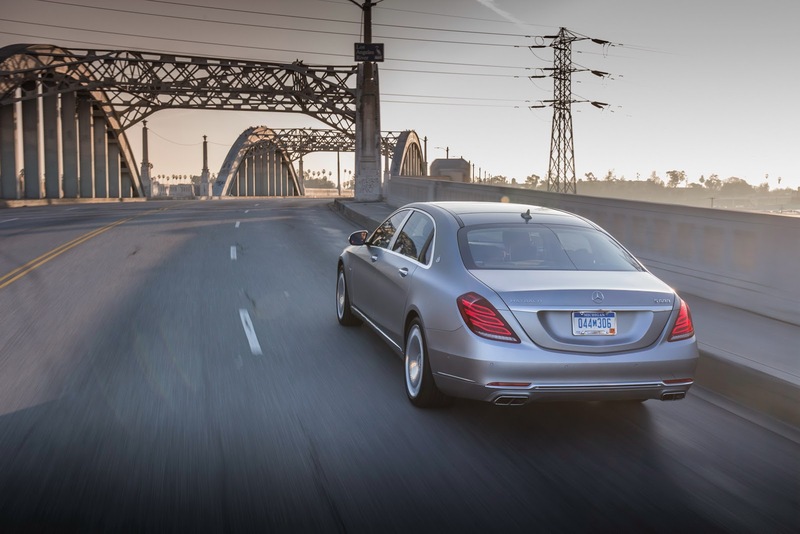 Daimler continuously improved its performance as the year 2014 progressed and achieved record levels of revenue and earnings in the fourth quarter. Revenue increased by 11% to the all-time high of €35.7 billion. The Group’s EBIT from the ongoing business of €2.8 billion in the fourth quarter was also higher than ever before (Q4 2013: €2.6 billion). 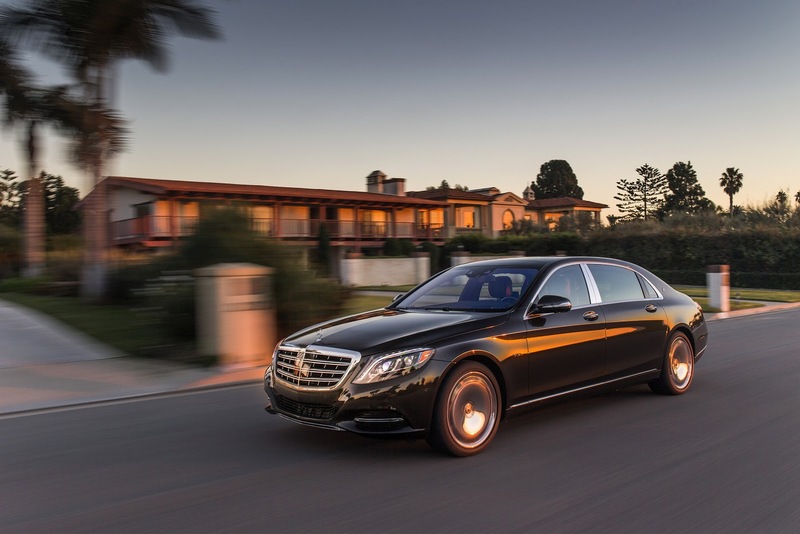 This earnings growth was driven by the Mercedes-Benz Cars division; its EBIT from the ongoing business increased by 27% to a new record of €1.8 billion. 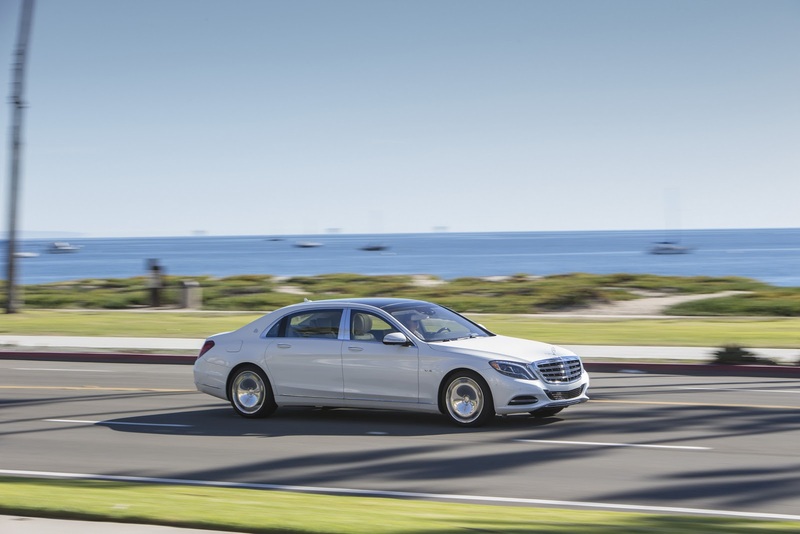 Daimler intends to make consistent use of the opportunities offered by the global automotive markets within the framework of the growth strategy. This requires extensive investment in new products and new technologies as well as in the expansion of the worldwide production network. In 2014, Daimler therefore once again invested a very high amount of €4.8 billion in property, plant and equipment (2013: €5.0 billion). 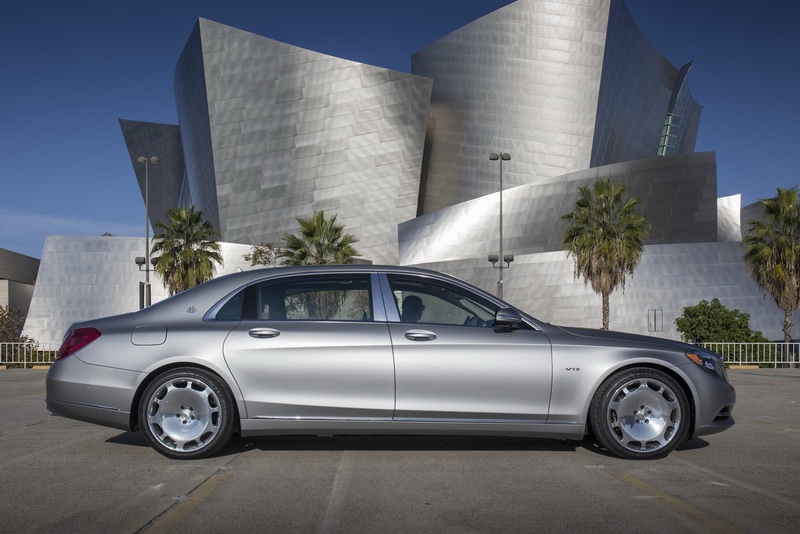 At Mercedes-Benz Cars, investment in property, plant and equipment of €3.6 billion was at the prior-year level. 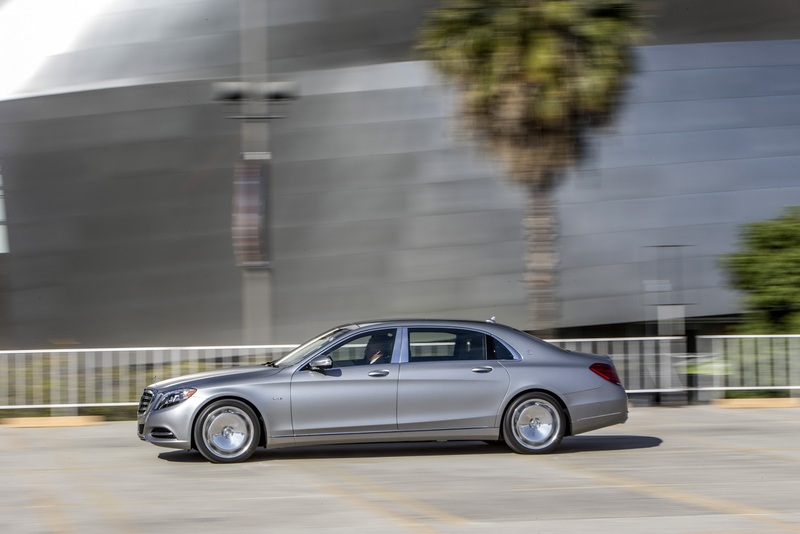 The most important projects included the models of the new C-Class, which have been in production since 2014 in Bremen as well as in Tuscaloosa, Beijing and East London. Another focus of investment was on new sport-utility vehicles. Substantial investments were also made in the modernization and realignment of the German production plants as competence centers, as well as in the expansion of production capacities in the United States. The main areas of investment at Daimler Trucks were for new products such as the Western Star 5700XE, the new FUSO Super Great V and the new Actros and Arocs heavy-duty tractor units. In addition, progress was made with various projects for the global standardization of engines and other major components. As in the previous year, total investment in property, plant and equipment at Daimler Trucks amounted to €0.8 billion. As a result of the rather subdued economic outlook, growth in global demand for cars of approximately 4% is expected in 2015. China is once again expected to deliver the biggest contribution by far to the expansion of global car sales. 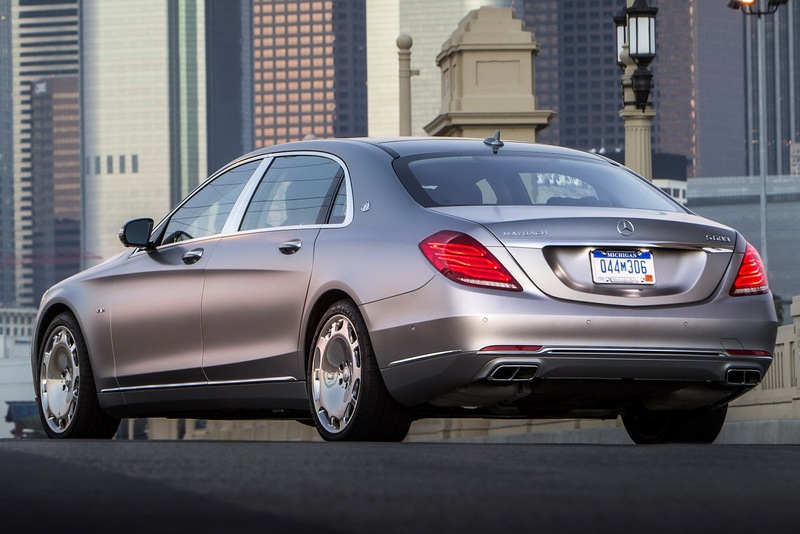 Substantial growth seems possible yet again for the world’s biggest car market. The US market should also continue its solid development. Although sales figures are meanwhile back to the pre-crisis level and thus close to market saturation, slight growth is expected once again in 2015. With projected sales of more than 16.7 million units, more cars and light trucks should be sold than since the year 2005. A continued demand upturn is to be anticipated for Western Europe. 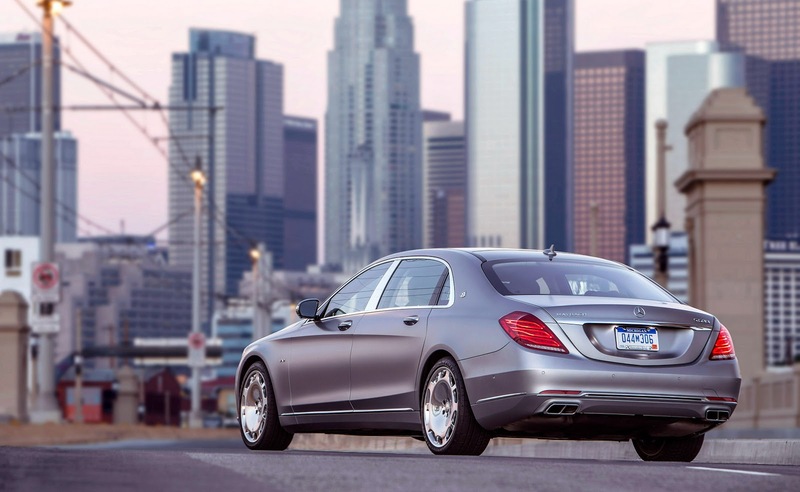 The German car market is expected to expand at a comparatively low rate to a volume of just over 3 million units. Since the Japanese car market has been at an artificially high level for several years due to various special effects, a correction is expected in 2015 with a moderate decrease in demand. The major emerging markets are likely to show varying developments in 2015. A significant recovery of demand for cars is anticipated in India. In Russia, however, a further significant drop in sales of cars must be assumed due to the worsening economic crisis there. The world market for medium- and heavy-duty trucks is likely to expand slightly in 2015 after the significant demand downturn last year. However, market developments will remain disparate at the regional level. The NAFTA region once again promises to deliver the most positive development. Most economic indicators suggest that demand for trucks will remain strong there with expected market growth in the magnitude of 10%. On the other hand, prospects for the European market are significantly less favorable due to the continuation of only hesitant economic recovery. From today’s perspective, demand is expected to remain only in the region of the relatively weak prior-year level. Market conditions in Brazil are likely to remain difficult: Starting from a low level, market volume is expected to decrease again in the magnitude of 10%. The Japanese market for light-, medium- and heavy-duty trucks has shown strong growth in recent years. But due to the economic slowdown, a slight market contraction must be anticipated in 2015. In Indonesia, however, market recovery and growth in a magnitude of 10% are to be expected. The severe recession in Russia will continue to depress the market, so demand should fall sharply once again. In India, however, a significant market recovery is expected due to slightly improved economic prospects. The market outlook for China is connected with uncertainty. The introduction of the CN4 emission standards (similar to Euro IV) on January 1, 2015 is likely to depress demand. 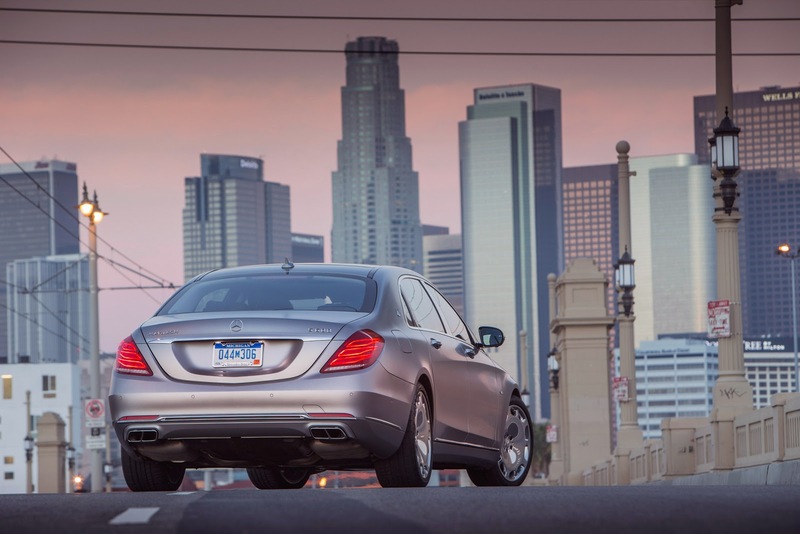 Daimler currently anticipates a market volume in 2015 of slightly below the previous year. 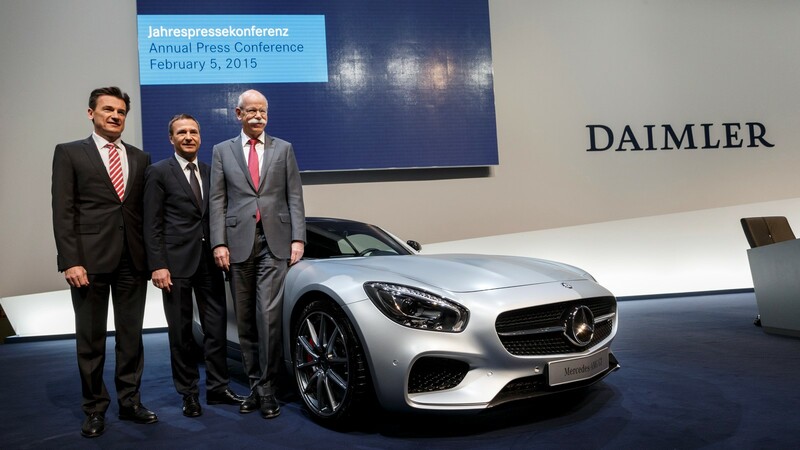 Overall, Daimler anticipates stable demand for vans in Europe in 2015. That applies to medium-size and large vehicles as well as to small vans. For the United States, moderate growth is expected in the market for large vans. In Latin America, Daimler assumes that the market for large vans will stabilize following the significant contraction in 2014. In China, an ongoing revival of demand is anticipated in the market the division addresses there. Daimler expects a slightly larger market volume for buses in Western Europe in 2015 than in 2014. After last year’s significant decrease in demand for buses in Brazil, demand is likely to remain at that low level in 2015. 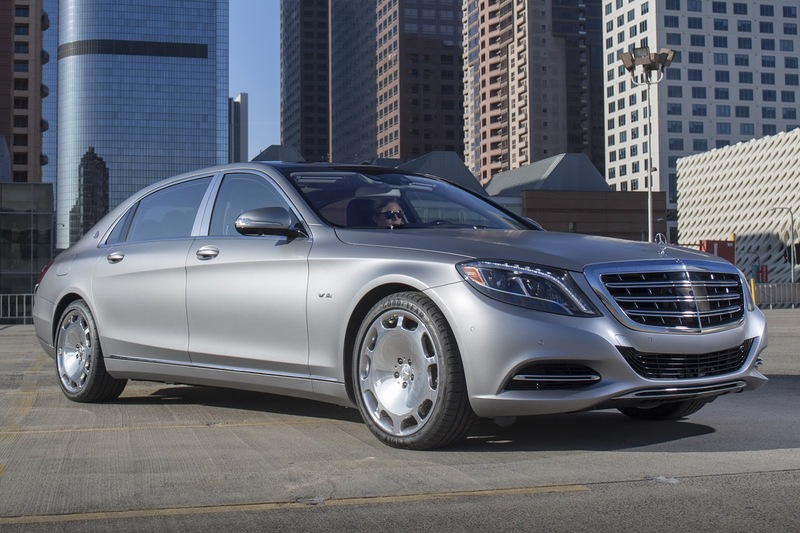 Mercedes-Benz Cars will consequently follow its path of growth in 2015 in the context of the »Mercedes-Benz 2020« offensive. Overall, the division intends to significantly increase its unit sales and thus reach a new record. This is based on the very attractive and young model portfolio, which will be expanded with some additional new products in 2015. 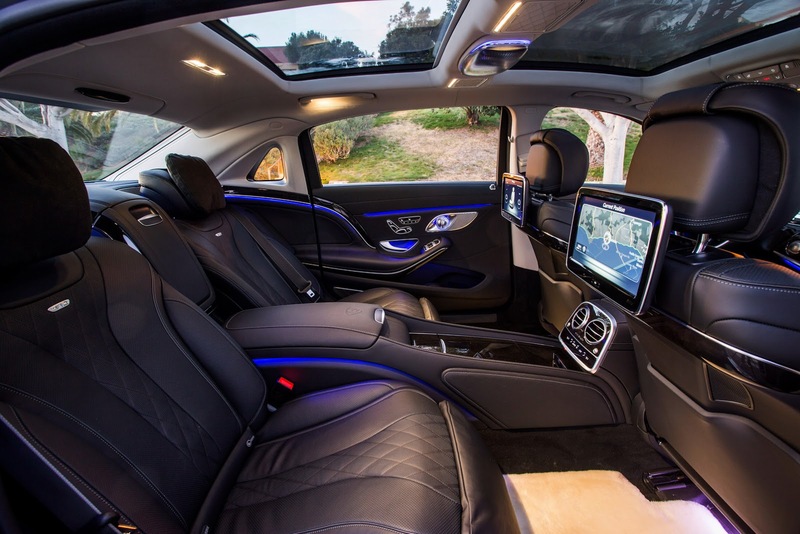 An important contribution will come from the new C-Class, which is now available in sedan and wagon versions in all markets. 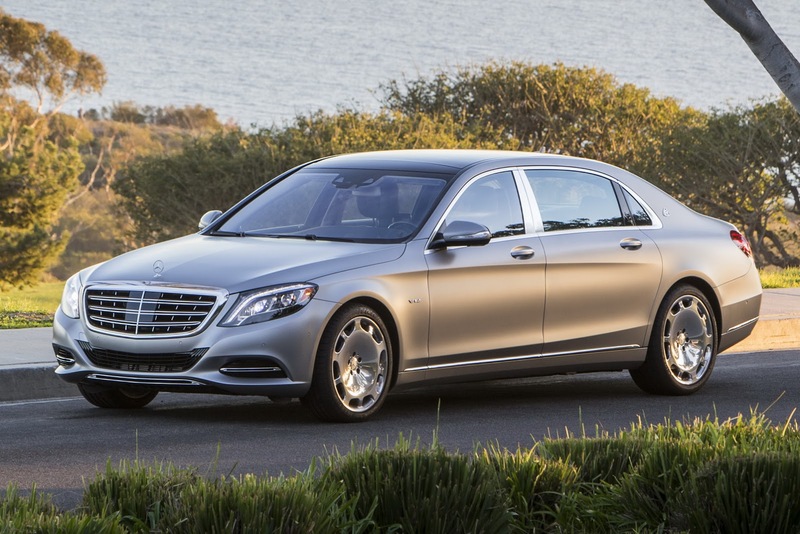 Furthermore, in the first seven months of 2015, four new vehicles will be launched that have no predecessor model. 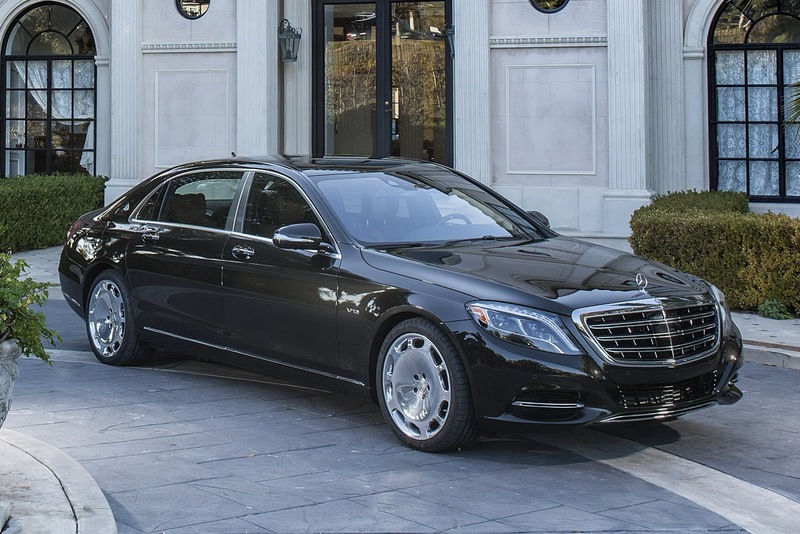 The first automobiles of the new and exclusive Mercedes-Maybach brand are being delivered to customers already in February. 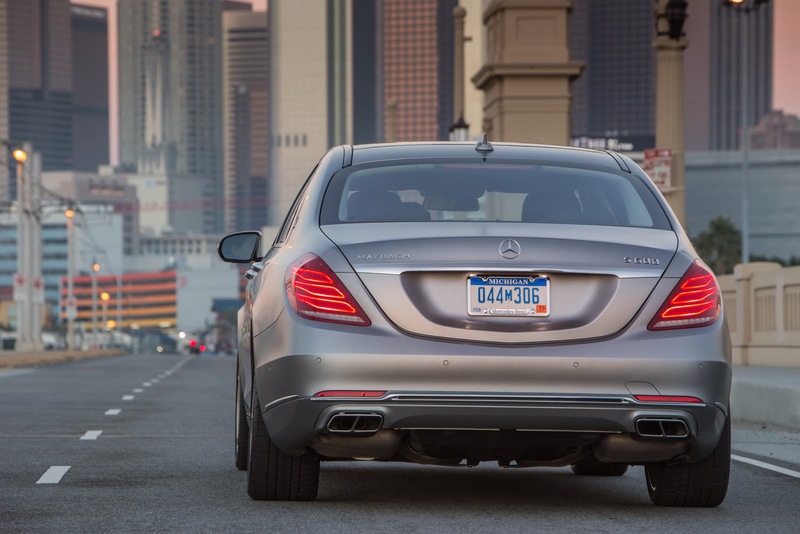 They will be followed by the sports car Mercedes-AMG GT, the CLA Shooting Brake and the GLE Coupe, a sporty SUV. 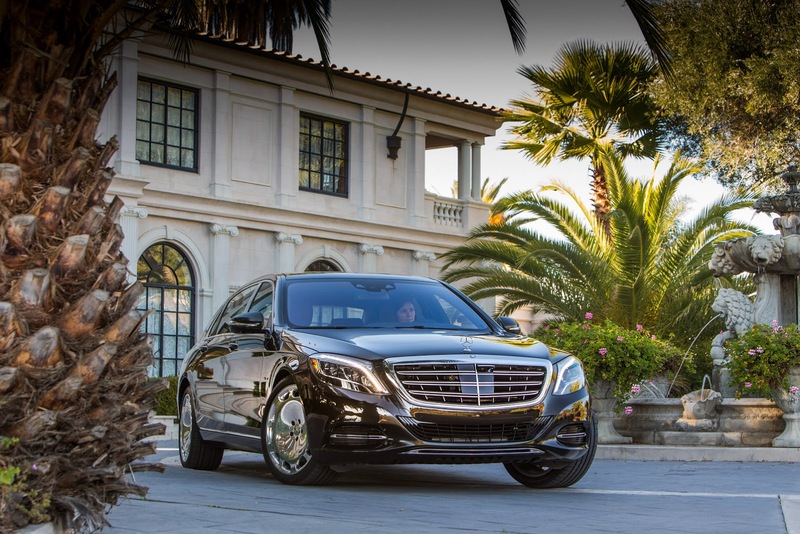 Within the context of the product offensive, the division will also renew almost its entire range of SUVs in 2015, thus stimulating additional demand. 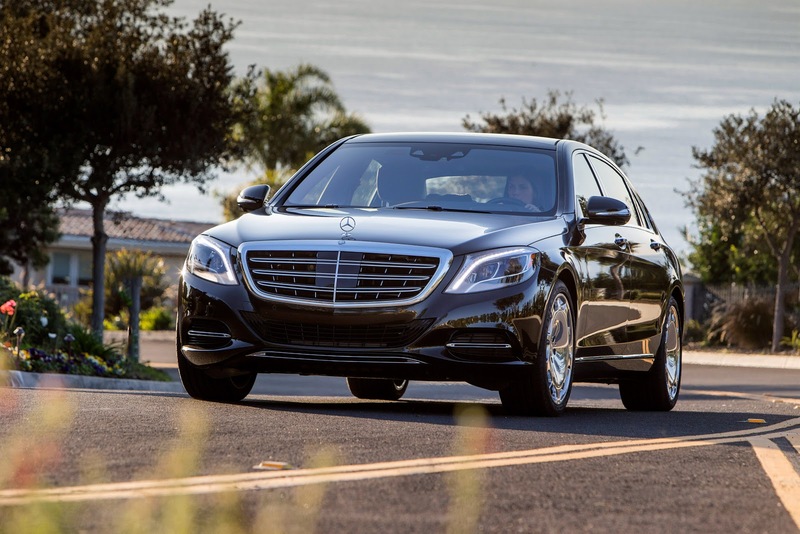 Mercedes-Benz Cars anticipates significant growth in unit sales in 2015 also for the smart brand. The new fortwo and forfour models have been available in Europe since November 2014. 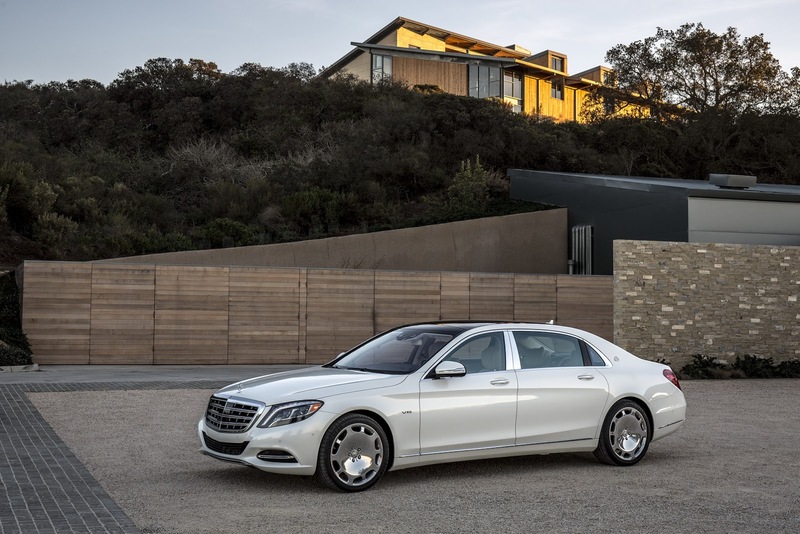 Both of these products will be launched in all key markets in 2015 and will therefore contribute to the positive development of unit sales at Mercedes-Benz Cars. As no four-seat smart model had been offered in recent years, completely new target groups can now be addressed with the smart forfour. From a regional perspective, the division expects the Asian markets to make major contributions to the growth in unit sales in 2015. In China, the expansion of the sales organization and of local production capacities is continuing, thus creating the right conditions for further growth. 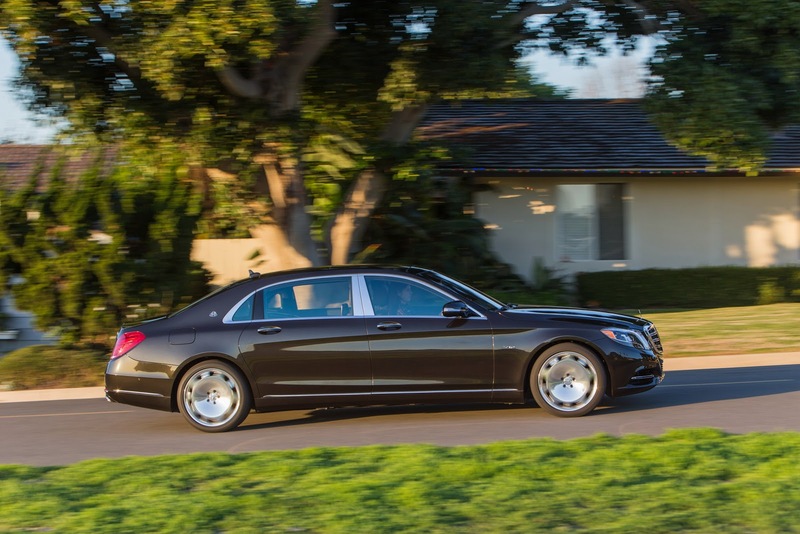 But unit sales will increase also in North America as a result of the new models. 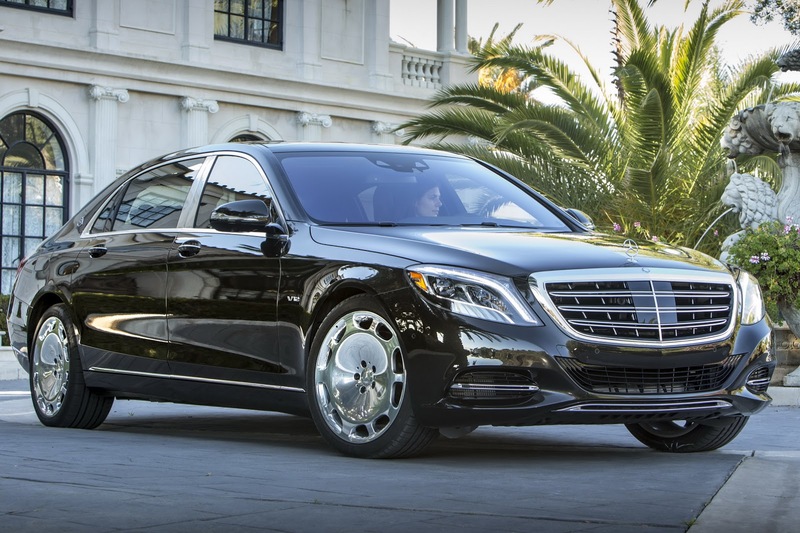 Mercedes-Benz Cars wants to profit to an above-average extent from the slight revival of demand expected in Western Europe. Daimler Trucks anticipates a significant increase in unit sales in 2015. In Western Europe, demand is likely to be adversely affected by the continuation of weak economic growth, leading to unit sales in the magnitude of the previous year. But the division believes it will be able to defend its very good market position with its fuel-efficient products, high customer acceptance and a flexible production network. In Turkey, Daimler Trucks anticipates significant sales being brought forward to 2015 due to the introduction of Euro VI emission regulations in 2016. In Brazil, the ongoing lack of economic growth and less favorable financing conditions are likely to dampen overall demand, so falling unit sales have to be expected there. In the medium term, however, Brazil will continue to be an important market. Daimler Trucks is therefore continuing to invest in local products and the production sites in São Bernardo do Campo and Juiz de Fora. Furthermore, the optimization program will be continued in Brazil, thus further increasing the efficiency of the facilities in that country. In the NAFTA region, the truck division assumes that in line with the expected market development, unit sales will once again be higher than in the previous year. The new and successful products should safeguard its market leadership in the region. Unit sales in Asia are also likely to develop positively overall. In Indonesia, one of the main markets in Asia, the division expects unit sales to recover after the decrease in 2014. In India, the further expansion of the dealer network should facilitate significant growth in unit sales. In addition, the expanded range of FUSO vehicles produced in India can be expected to stimulate additional sales growth in Asia and Africa. In Japan, however, growth rates will probably decrease significantly. 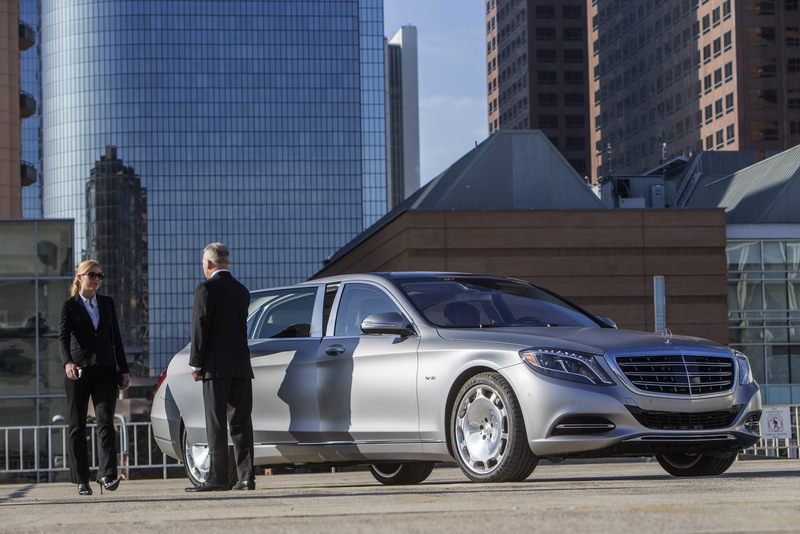 Mercedes-Benz Vans plans to achieve significant growth in unit sales in 2015. Above all in Europe, its core market, significant increases in sales of medium-size and large vans are anticipated. 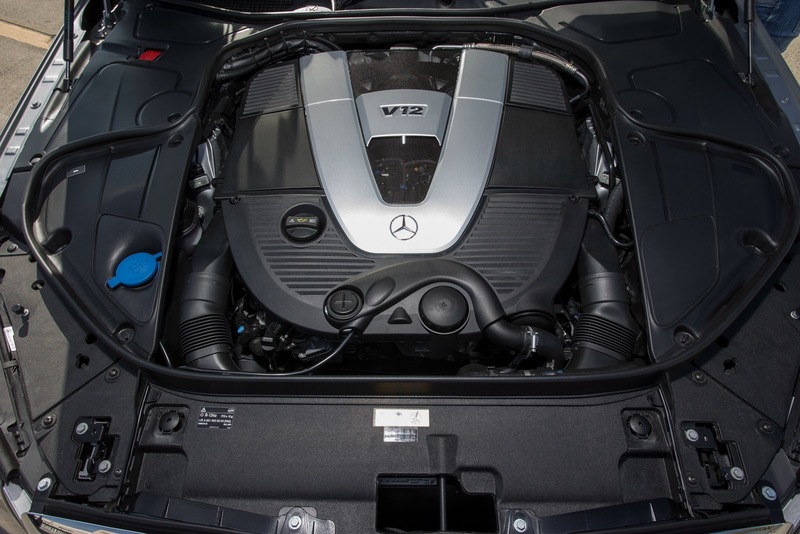 This development is likely to be primarily driven by the new products Vito and V-Class, which are now fully available following their launch in 2014. In the context of the »Mercedes-Benz Vans goes global« strategy for the division, the Vito will be launched also in North and South America in 2015, stimulating additional demand there. The division aims to achieve further growth in those markets also with the Sprinter, which will be produced in North America in the future additionally. Furthermore, Mercedes-Benz Vans intends to expand its presence in China in the market segment it addresses there. Daimler Buses assumes that it will be able to defend its market leadership in its core markets for buses above 8 tons with innovative and high-quality new products. For the year 2015, the division anticipates a slight increase in total unit sales. This is based on the assumption of a stable development of unit sales in Europe and Latin America and rising unit sales in Mexico. 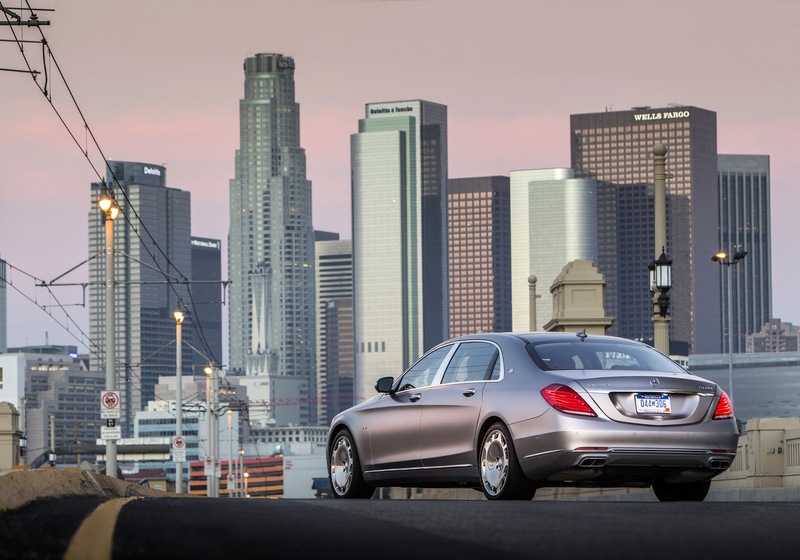 Daimler Financial Services aims to achieve further profitable growth in the coming years. For the year 2015, significant growth is anticipated in both new business and contract volume. This will result from the growth offensives of the automotive divisions, the specific targeting of younger customers, the expansion of business especially in Asia, and the further development of the online sales channels. 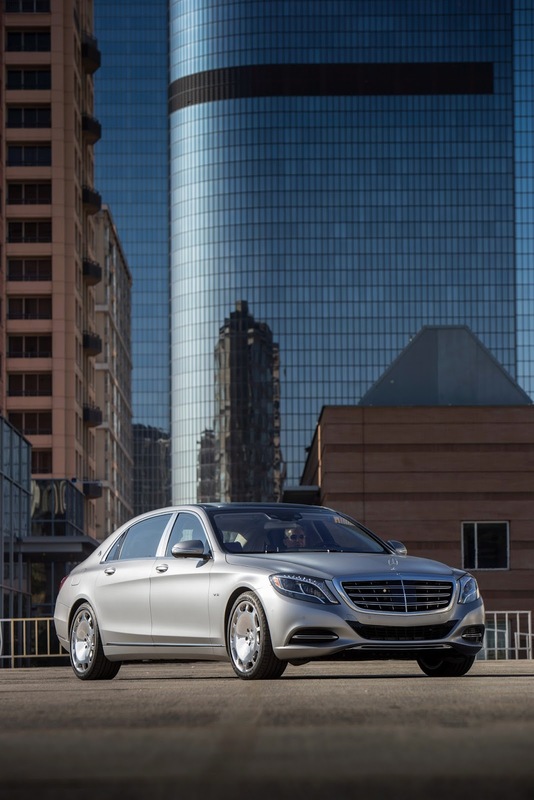 Daimler Financial Services will increase its equity base in China by approximately €0.5 billion in order to strengthen the growing financing business. The business with the flexible car-sharing model, car2go, will also continue to grow, and will systematically expand the range of mobility services under the umbrella of moovel. 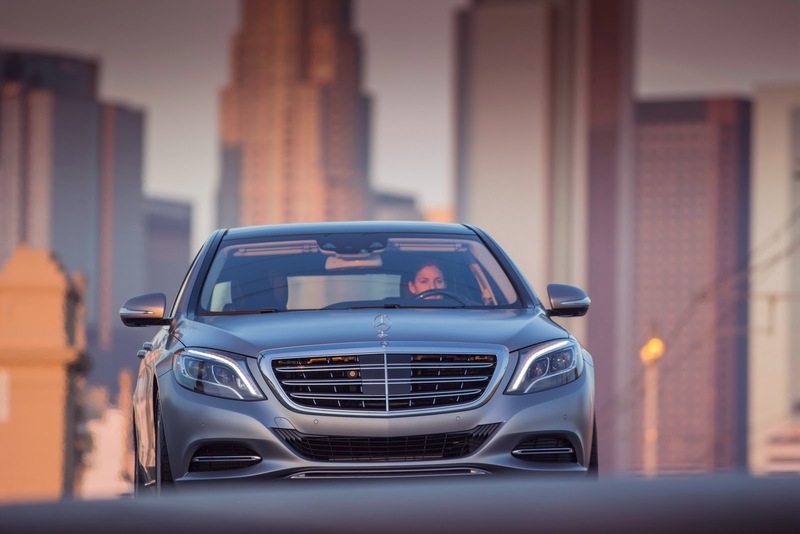 On the basis of assumptions concerning the development of automotive markets and the divisions’ planning, Daimler expects to achieve significant growth in total unit sales in 2015. It assumes that the Group’s revenue will also grow significantly in 2015. Without exception, the divisions currently benefit from a very attractive and particularly competitive product range, which has been expanded and consistently renewed in recent years. 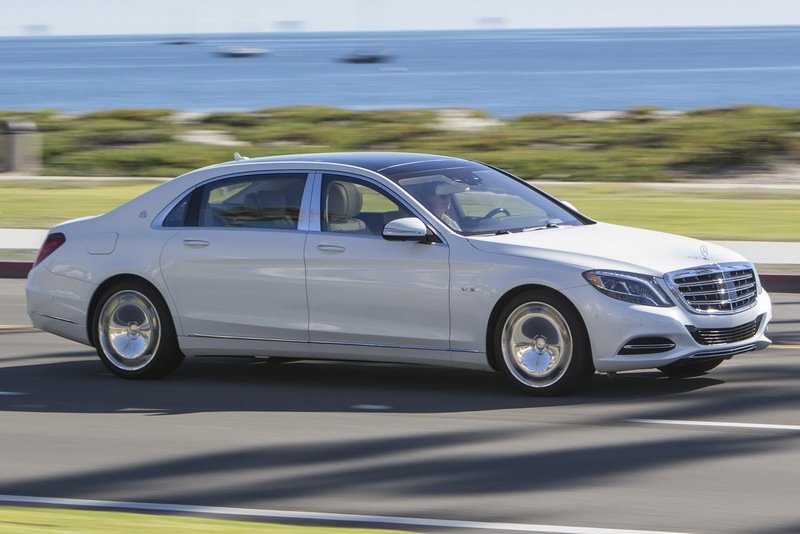 Daimler therefore assumes that it will profit to an above-average extent from the slight revival of automotive markets that is expected for 2015, and will be able to strengthen its position in important markets. The anticipated revenue growth is therefore likely to be supported by all divisions. 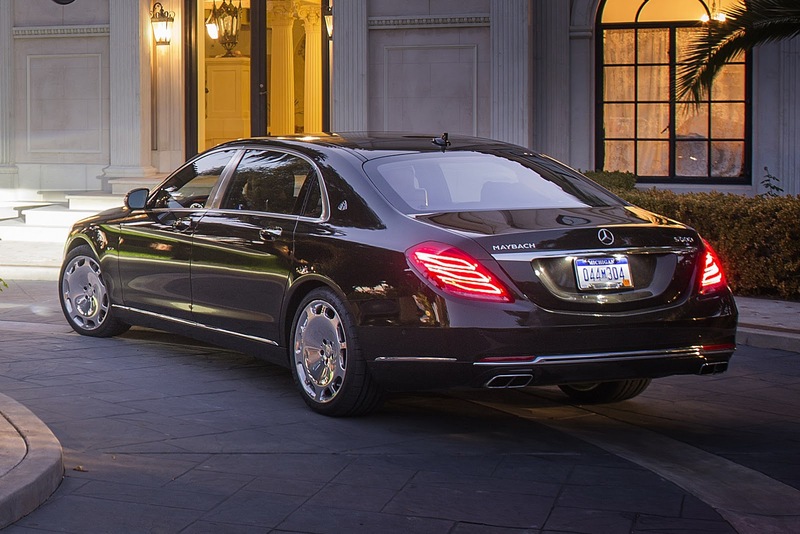 In absolute terms, Mercedes-Benz Cars and Daimler Trucks will deliver the biggest contributions. In regional terms, the highest growth rates are expected in Asia and North America, but business volumes should expand also in the other regions. 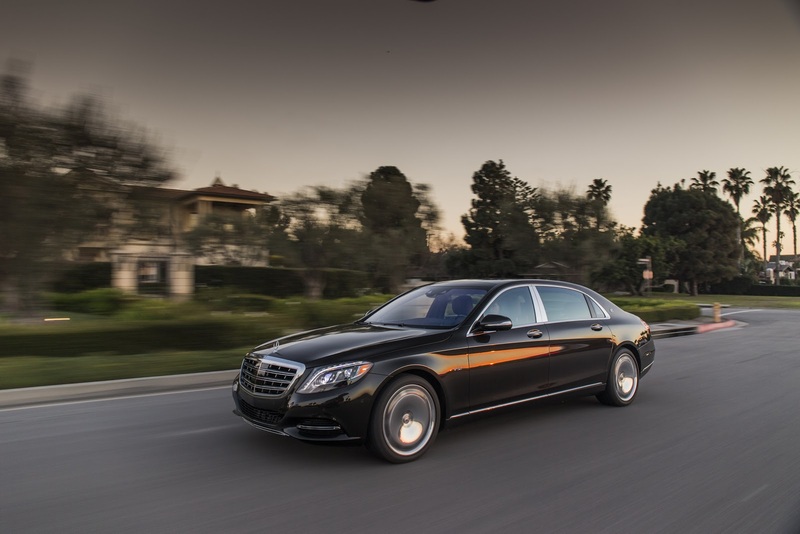 In particular in China, Daimler is creating the right conditions for further growth with new sales outlets and additional production capacities, and it is expanding its production plants also in India and North America. 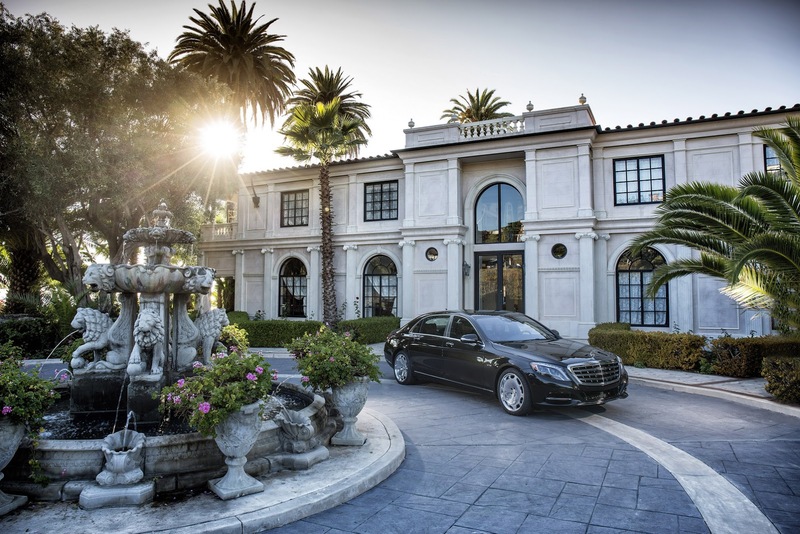 The growth in unit sales and revenue that is anticipated will have a positive impact on earnings in 2015. Additional profit contributions will come from the efficiency programs that have been implemented in all divisions. Within the programs »Fit for Leadership« at Mercedes-Benz Cars, »Daimler Trucks #1« at Daimler Trucks, »Performance Vans« at Mercedes-Benz Vans and »GLOBE 2013« at Daimler Buses, measures have been taken for sustained improvements in cost structures as well as for additional business activities so that the Group achieved total profit contributions of approximately €4 billion by the end of 2014, of which about 80% is already effective. 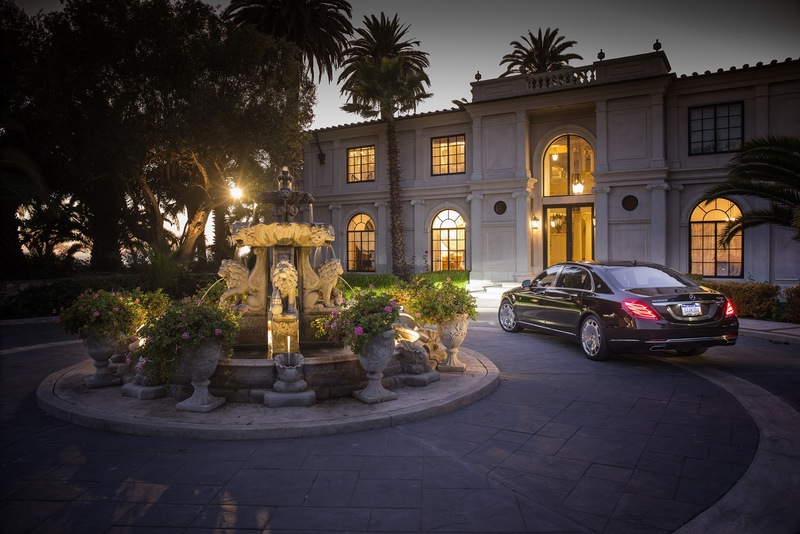 The full effect of those programs will be reflected in the Group’s earnings in 2015. 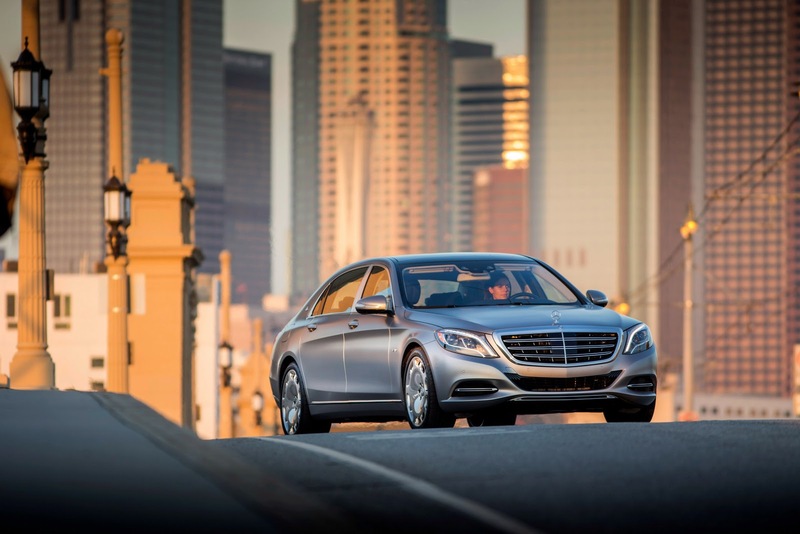 On the basis of the currently anticipated development of markets and exchange rates and the planning of the divisions, Daimler assumes that Group EBIT from the ongoing business will increase significantly once again in 2015. – Mercedes-Benz Cars: significantly above the prior-year level, – Daimler Trucks: significantly above the prior-year level, – Mercedes-Benz Vans: significantly above the prior-year level, – Daimler Buses: slightly below the prior-year level, and – Daimler Financial Services: slightly above the prior-year level. 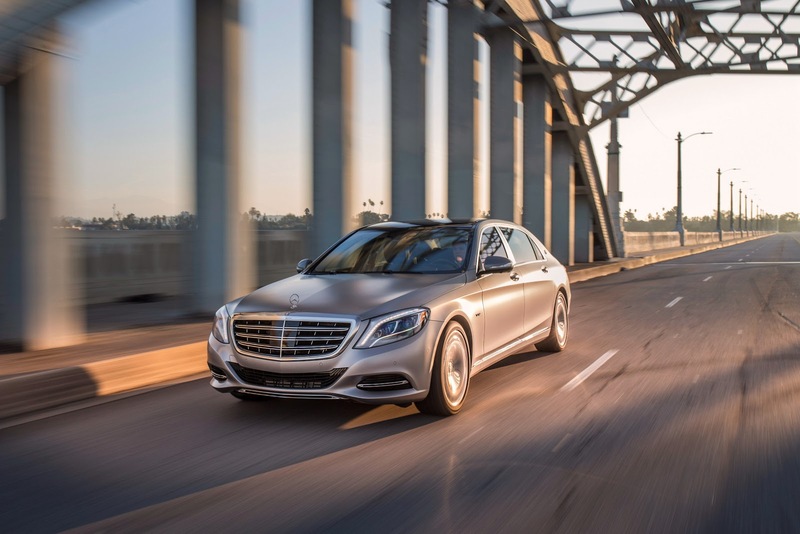 In the medium term, Daimler aims to achieve an average return on sales across market and product cycles of 9% for the automotive business in an annual average. This figure is based on the return targets for the divisions: 10% for Mercedes-Benz Cars, 8% for Daimler Trucks, 9% for Mercedes-Benz Vans and 6% for Daimler Buses. 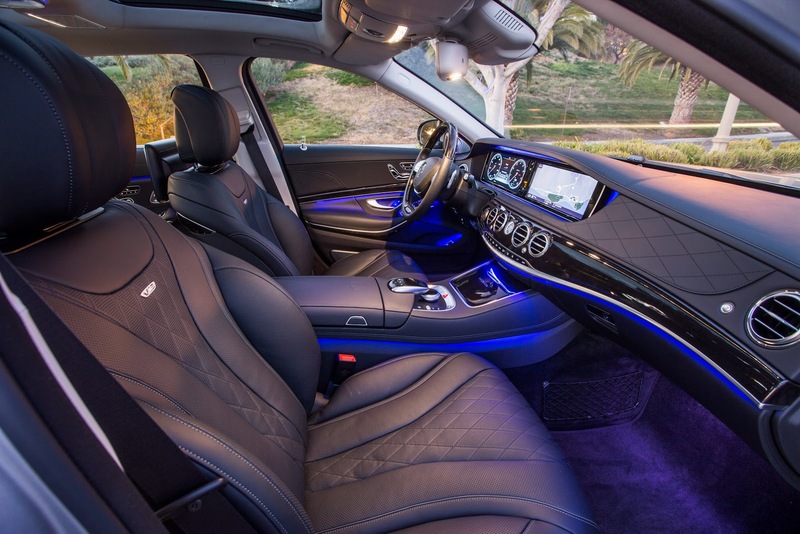 With its research and development activities, Daimler pursues the goal of strengthening the Group’s competitive position in face of the upcoming technological challenges. For this reason, Daimler will once again significantly increase its expenditure for research and development activities to €6.7 billion in average in the years 2015 and 2016. 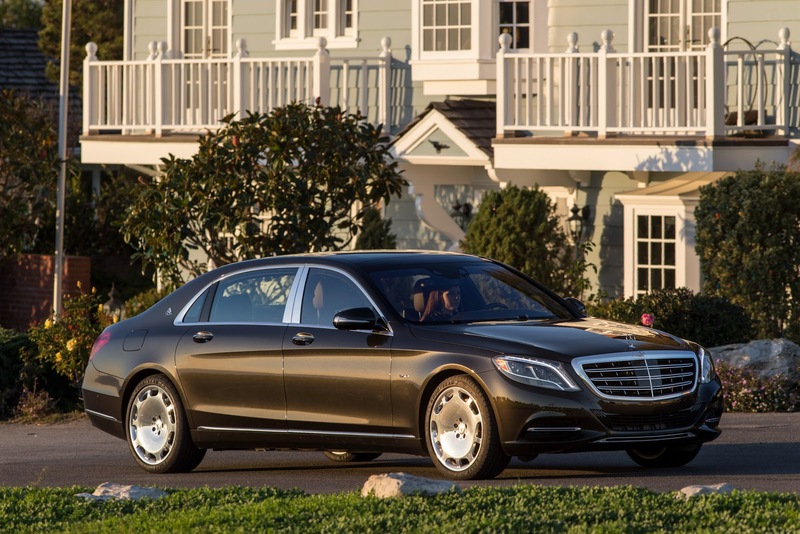 Daimler will also increase its already very high investment in property, plant and equipment, and plans to invest an amount of €5.6 billion in average in the years 2015 and 2016. 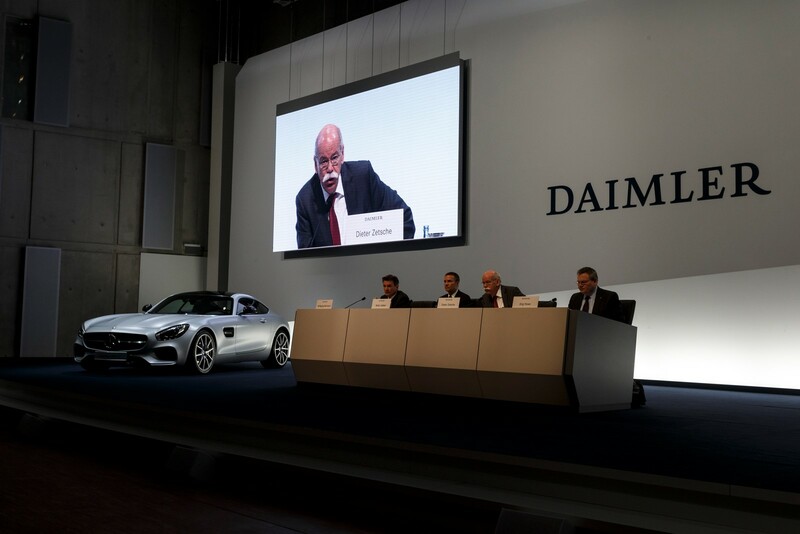 “New products, new technologies or new mobility concepts, the goal is the same: We are creating opportunities for the future – for the Daimler Group and its employees,” said Dieter Zetsche. Due to the generally very favorable business development that is expected for 2015, production volumes will continue rising. At the same time, the efficiency-enhancing measures that have been implemented at all divisions in recent years will now take full effect. The medium- and long-term programs for structural improvements of business processes should facilitate further efficiency progress. 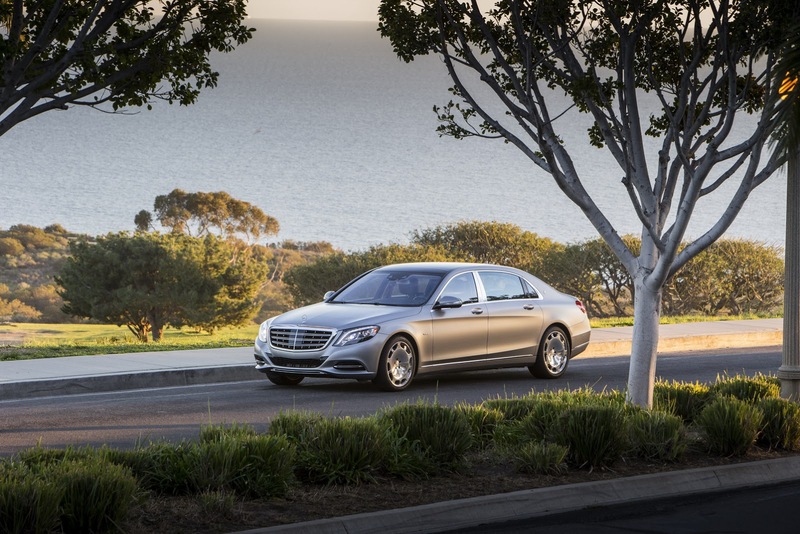 Against this backdrop, Daimler assumes that it will be able to achieve its ambitious growth targets with only slight workforce growth. 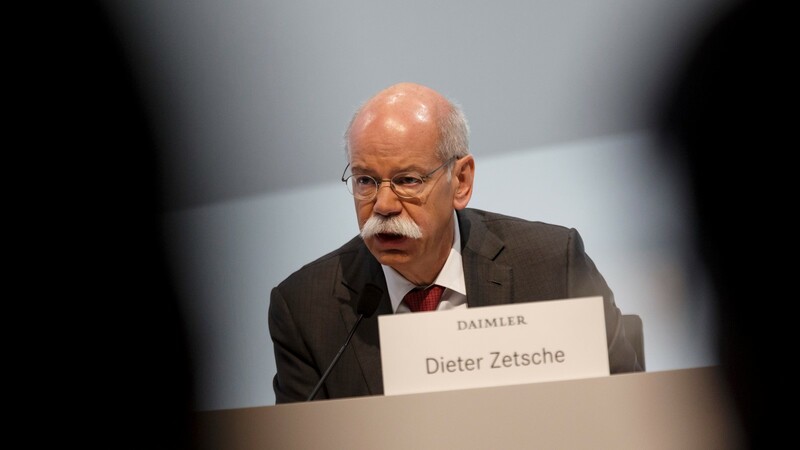 Additional jobs are likely to be created at companies operated together with Chinese partners and whose employees are not included in the figures for the Daimler Group. 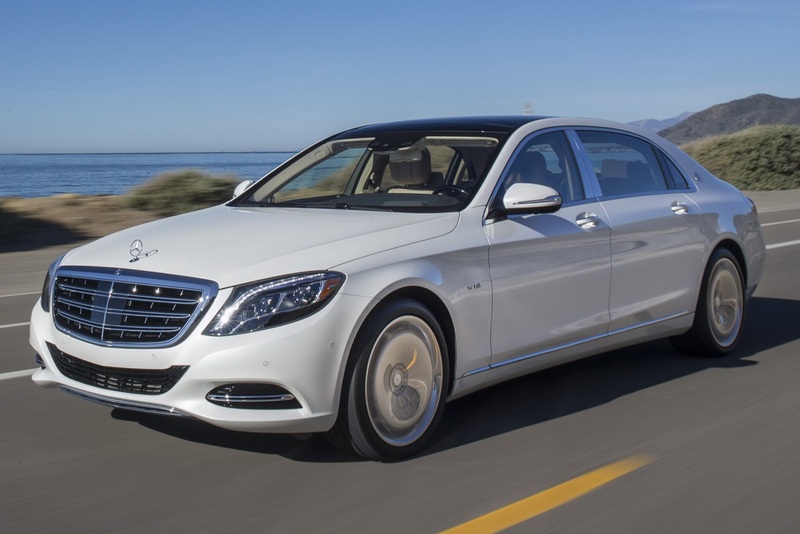 Reversal of impairment of investment in Fujian Benz Automotive Corp. Ltd.
Stuttgart – Daimler is sharing the rewards of the successful 2014 financial year with its employees by paying out the highest profit-sharing bonus in the company’s history. The Board of Management and General Works Council resolved to pay a profit-sharing bonus of EUR 4,350 to all qualifying tariff-scale employees. 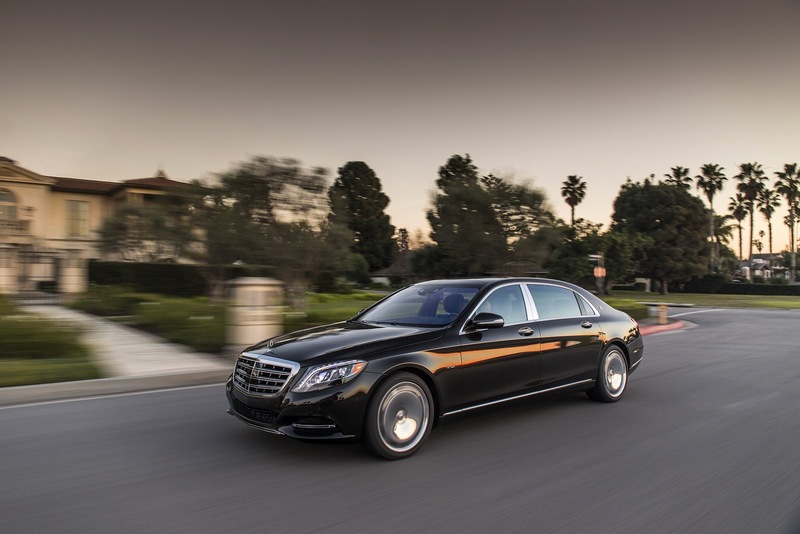 “Our employees played a crucial part in making 2014 the best year in Daimler’s history to date. 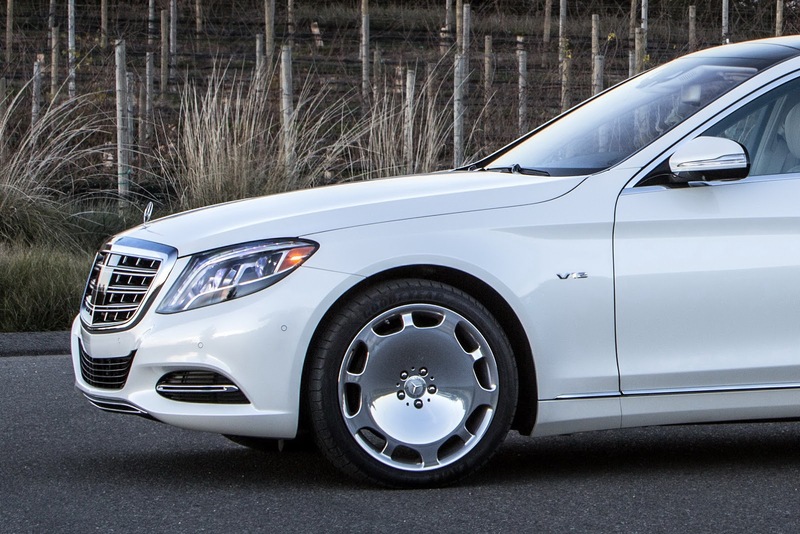 With this profit-sharing bonus, we want to recognize their achievement and to thank our co-workers for their hard work,” said Wilfried Porth, Member of the Board of Management responsible for Human Resources and Director of Labor Relations & Mercedes-Benz Vans at Daimler AG. The profit-sharing bonus will be paid out to around 135,000 qualifying tariff-scale employees with their April paychecks.